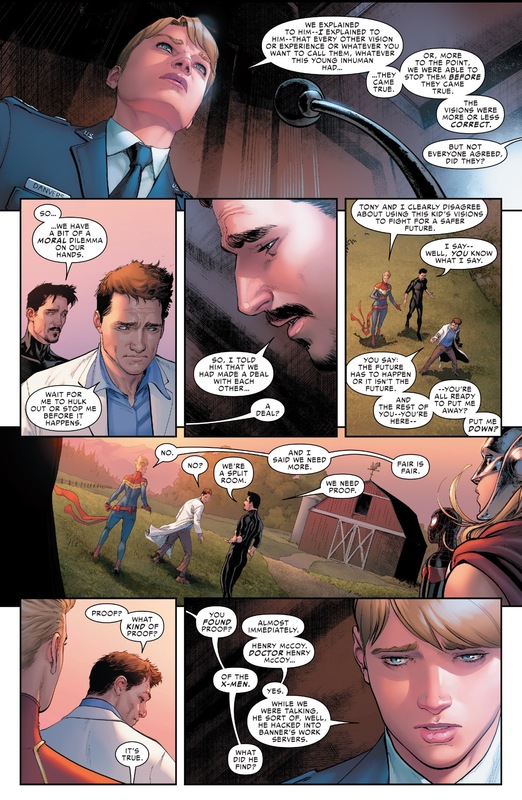 This entry was posted in Captain Marvel, Carol Danvers, Civil War II, Clint Barton, Hulk, Iron Man, Marvel Comics and tagged beast, bruce banner, captain marvel, carol danvers, hawkeye, hulk, tony stark on September 2, 2016 by lowbrowcomics. Captain America: Civil War TV Spot #30- More Spider-Man! 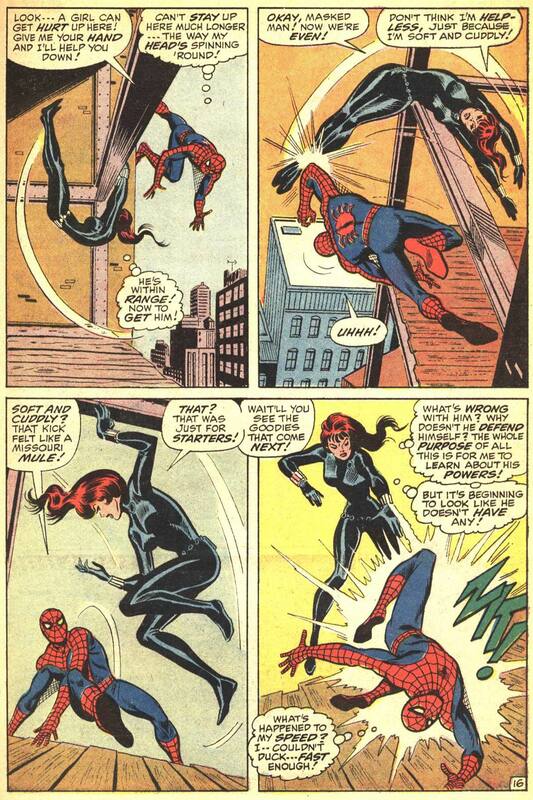 Note the web-shooters worn on the outside of the costume. We are just 10 days away from the worldwide premier of Captain America Civil War and it looks like Marvel is pulling out all the stops. In this latest trailer we are treated to more Spider-Man and from what it sounds like, he will be the wise-cracking, quick-witted web slinger we know from the comics. From what I hear his appearance in the film is not very long 10-20 minutes or so, but what is there is glorious. Makes me really excited to see Spider-Man:Homecoming. Cant wait! What do you think of this trailer? Or are you on media blackout until the movie comes out? 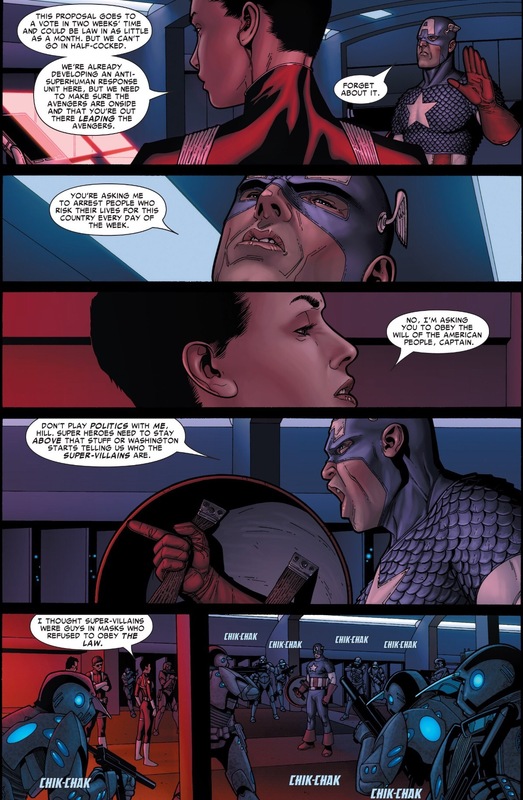 One year after the events of Avengers: Age of Ultron, another international incident involving the Avengers resulting in collateral damage occurs, prompting politicians to form a system of accountability and a governing body to determine when to call in the team. 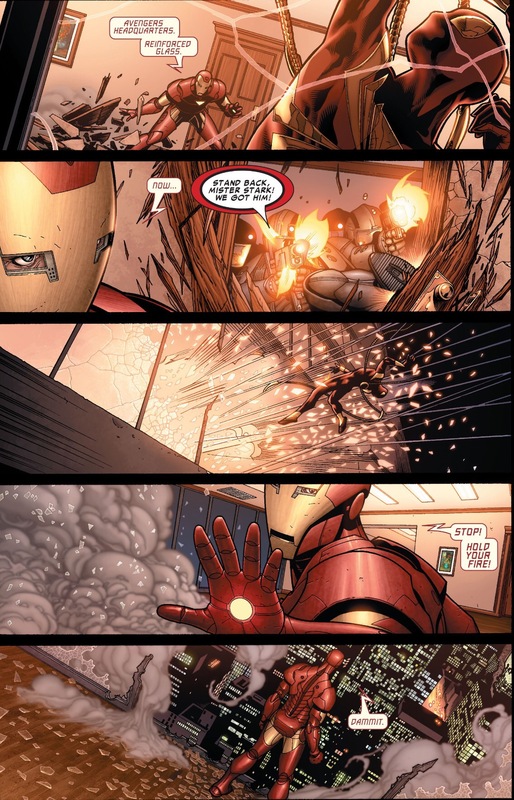 When Steve Rogers attempts to protect his friend Bucky Barnes from this act, he is brought into conflict with Tony Stark. 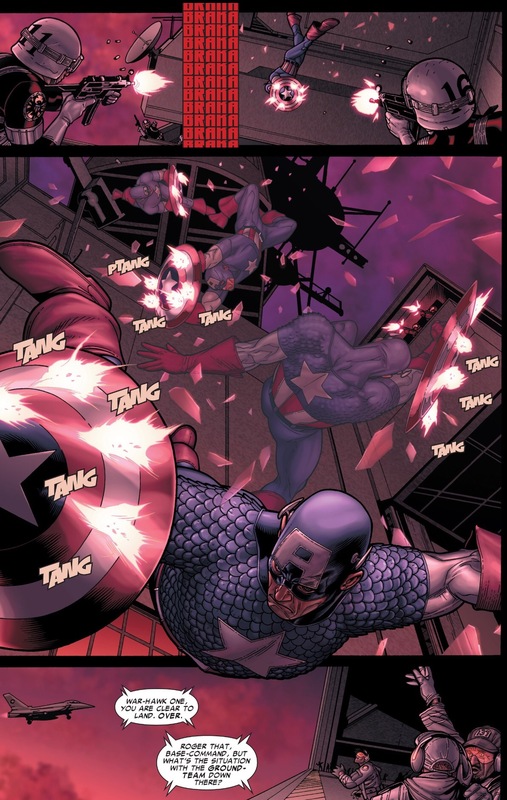 This results in the fracturing of the Avengers into two opposing factions—one led by Rogers, who wishes to operate without regulation, and the other by Stark, who supports government oversight—while the world is threatened by a new enemy. In Captain America: The Winter Soldier, Nick Fury is apparently killed by the Winter Soldier, who is later revealed to be Bucky Barnes. 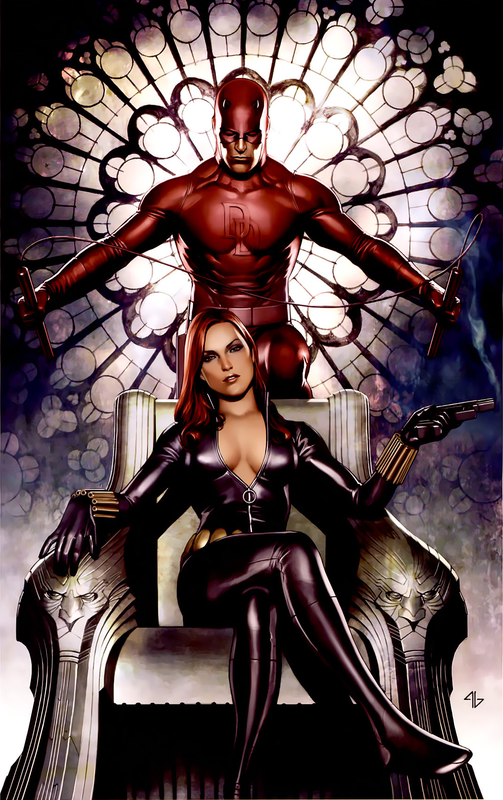 Rogers, Black Widow, and new ally Sam Wilson (Falcon) discover and thwart a Hydra plot to kill thousands of potential threats. 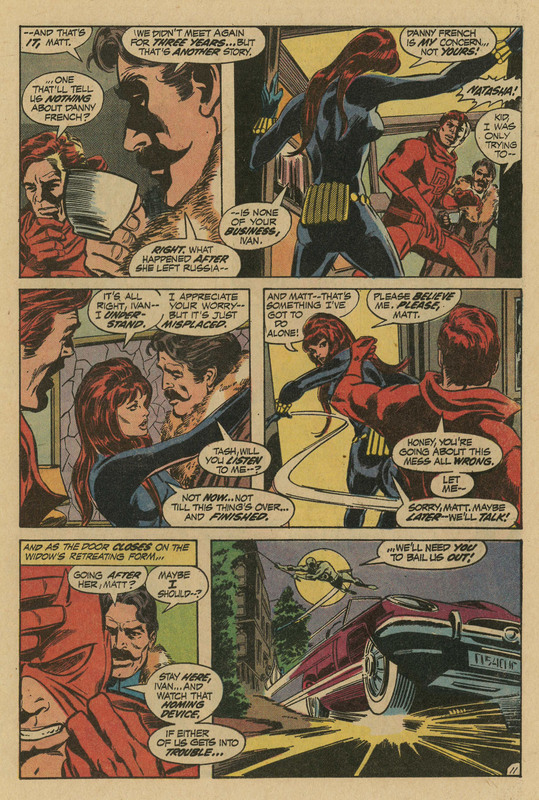 Rogers and Wilson leave to search for Barnes, whom Rogers believes may still be good. An Avenger allied with Rogers, and a former para-rescueman trained by the military in aerial combat using a specially designed wing pack. 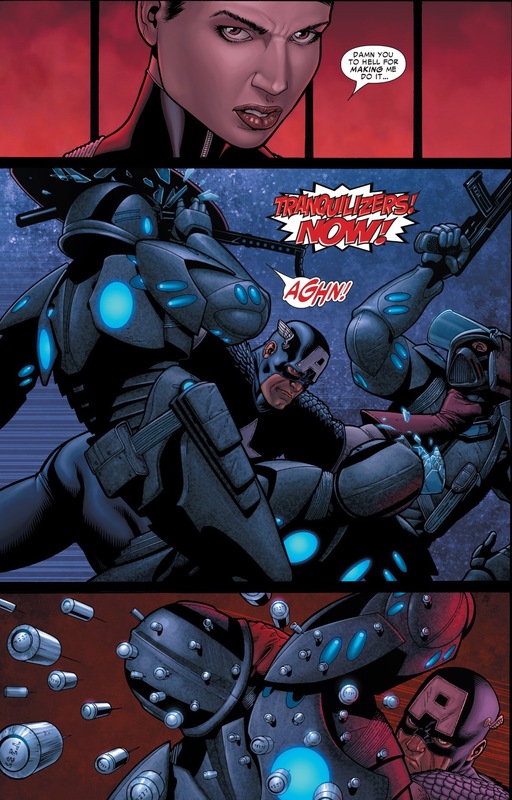 Wilson is aided by a robotic drone named Redwing. Discussing the relationship between Wilson and Rogers, Mackie said, “With Falcon and Cap, what’s so great is there’s a mutual respect. There’s a soldier respect. 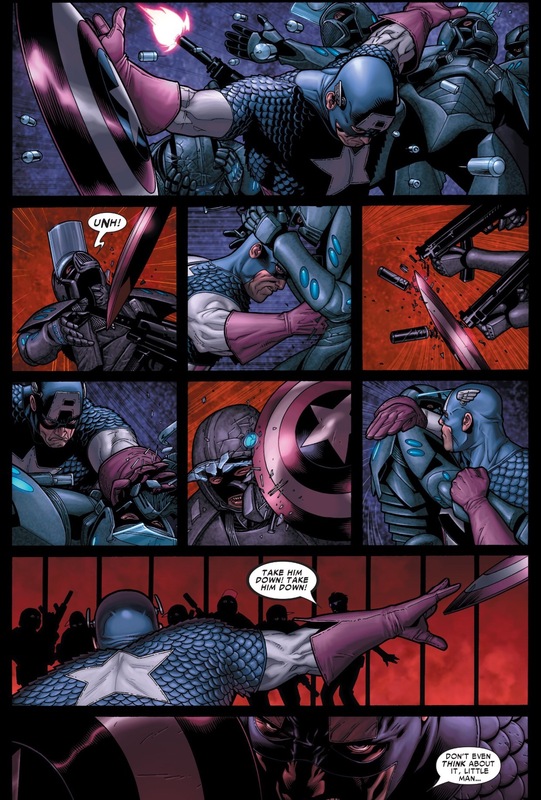 What’s great about… [Captain America: Civil War] is you get to see their relationship grow,” adding, “He respects and admires Cap because Cap earned his rank as opposed to sitting in an office and just delegating orders.” Joe Russo stated that the inclusion of Barnes to Rogers’ side forces Wilson to question the dynamic and relationship he has with Rogers going forward. 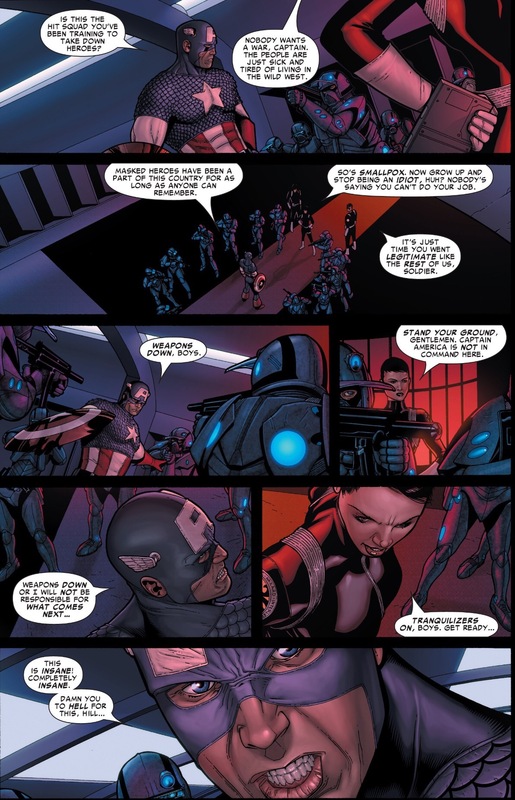 An Avenger allied with Stark, and an officer in the U.S. Air Force who operates the War Machine armor. Cheadle called Rhodes’ appearance in the film a “bit more intense and pivotal” compared to his previous appearances. The prince of the African nation of Wakanda allied with Stark. 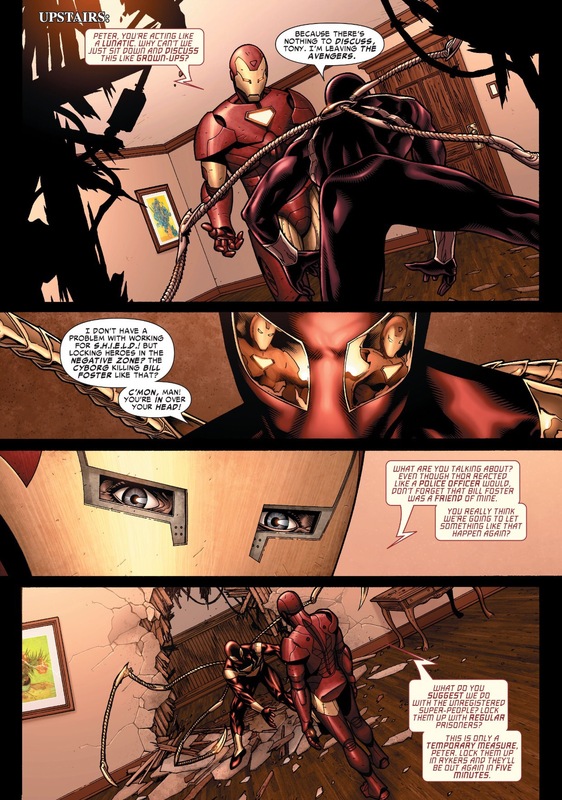 On including the character in the film, Feige said, “The reason we introduced him in Civil War is because we needed a third party. 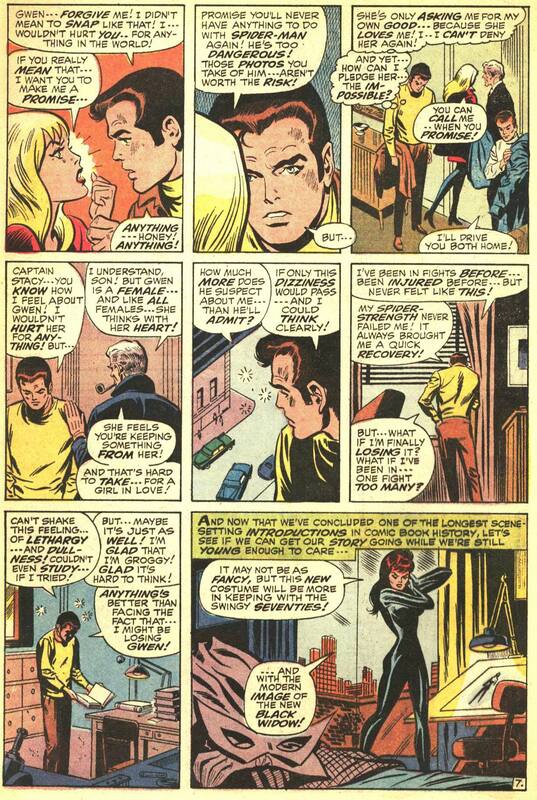 We needed fresh eyes who weren’t embedded with the Avengers and who has a very different point of view than either Tony or Steve. We said, ‘We need somebody like Black Panther… why don’t we just use Black Panther?’” Feige also said that T’Challa would be in the “beginning phases of taking on” the Black Panther mantle. 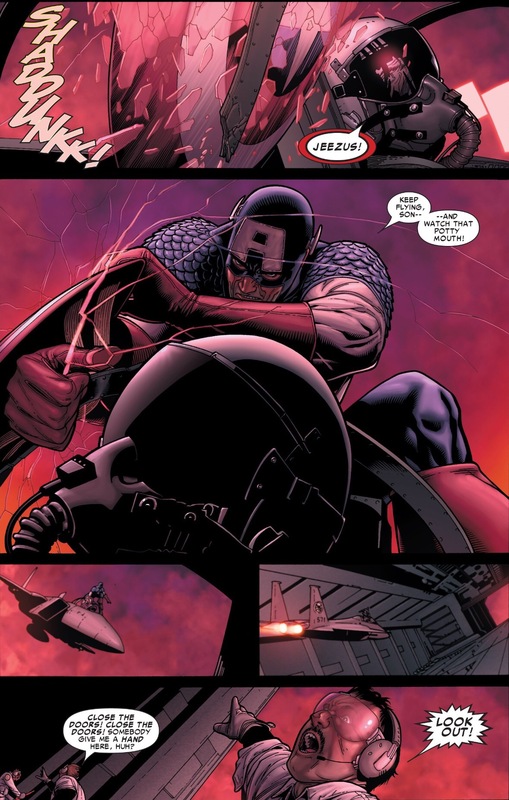 He also added that his appearance in Civil War is more than a cameo, giving him a full arc and character journey with “his own conflict and his own people that he’s looking out for.” Joe Russo said that T’Challa is “there for a very different reason which brings him into conflict with Cap and his team.” Executive producer Nate Moore added that T’Challa is “the undecided voter”, whose agenda does not exactly align with either Rogers’ or Stark’s. The Black Panther costume is a combination of a practical costume and visual effects, featuring a vibranium mesh weave similar to chainmail. On landing the role, Boseman said, “It wasn’t really an audition process. 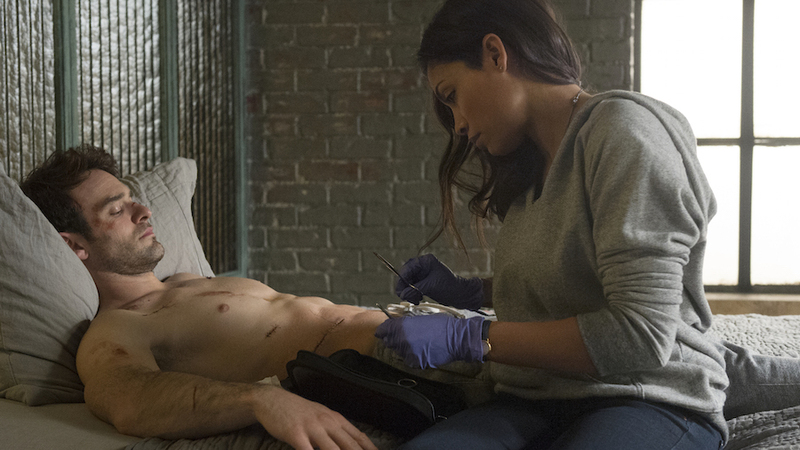 It was more of a discussion about what they wanted to do and how I saw it and what I wanted to do. It was more of a feeling out process”. Describing T’Challa, Boseman said, “You never quite know where he stands. 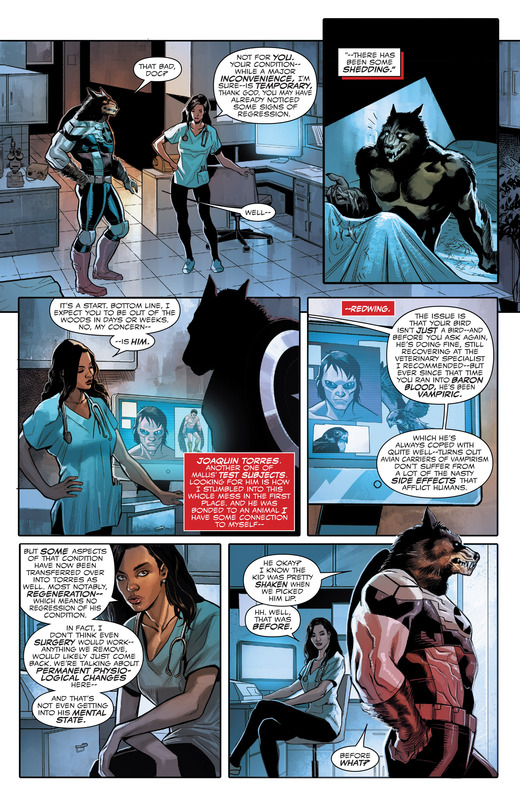 There’s always a bit of concealing and mystery.” He added that T’Challa is torn between needing to live up to traditions, his father and nation of Wakanda’s legacy and the way things were done in the past and how things need to happen in the present. Boseman has a five picture deal with Marvel. 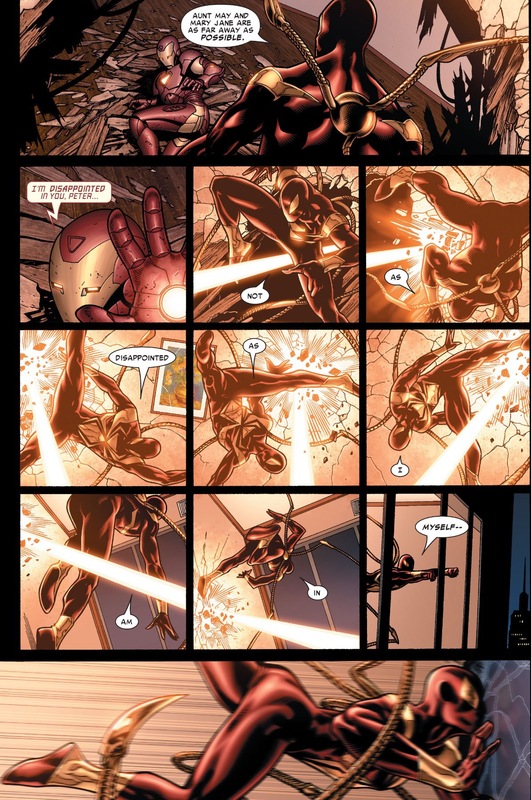 A teenager allied with Stark, who received spider-like abilities after being bitten by a genetically altered spider. Feige said that Parker would be torn between superhero ideologies, saying, “Does he want to be like these other characters? Does he want nothing to do with these other characters? 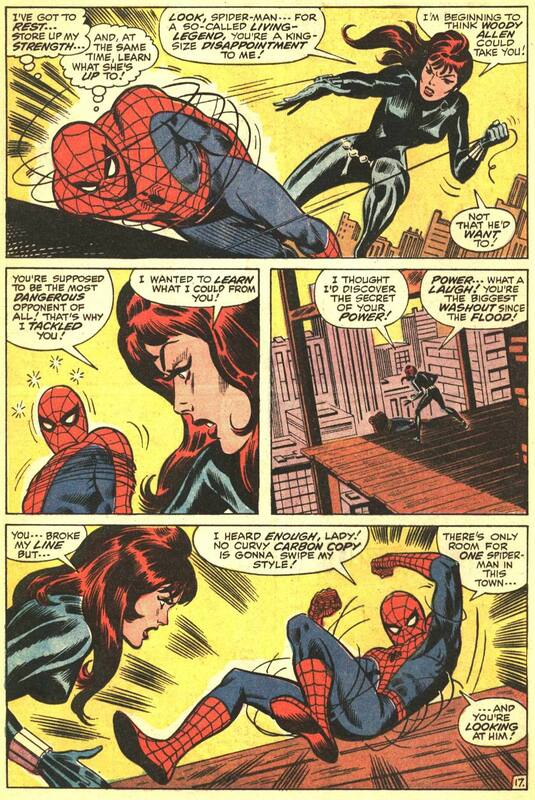 How does that impact his experience, being this grounded but super powerful hero? 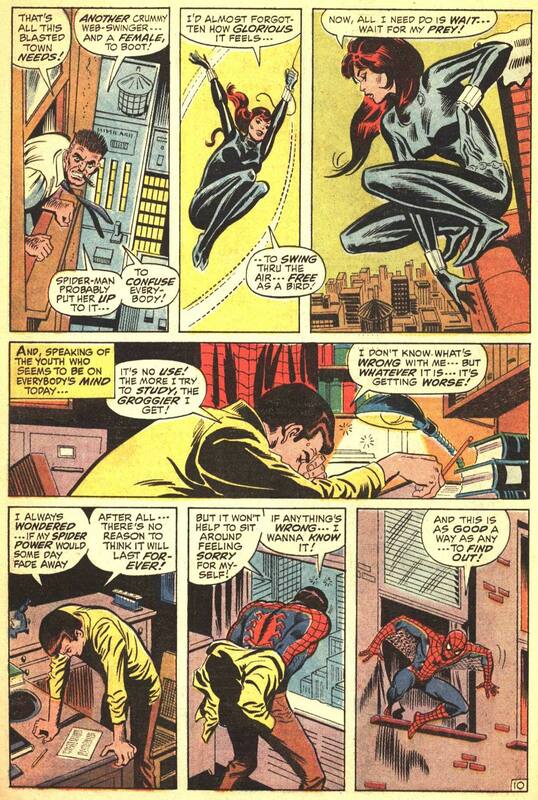 Those are all the things that Stan Lee and Steve Ditko played with in the first 10 years of his comics, and that now we can play with for the first time in a movie.” On aligning with Stark, Anthony Russo said that, despite entering the conflict after the two factions have formed and not having much political investment, Parker’s choice comes from “a very personal relationship” he develops with Stark. The Russo’s hoped “to take a very logical and realistic and naturalistic approach to the character” compared to the previous film portrayals. 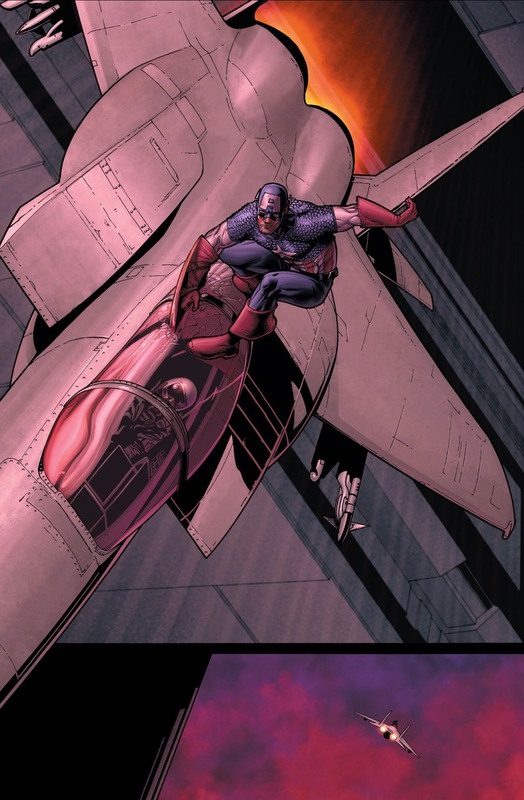 Anthony Russo added that the character’s introduction had to fit “that specific tonal stylistic world” of the MCU, as well as the tone established by the directors in Winter Soldier, saying, “It’s a little more grounded and a little more hard-core contemporary.” That was “coloring our choices a lot” with Parker. 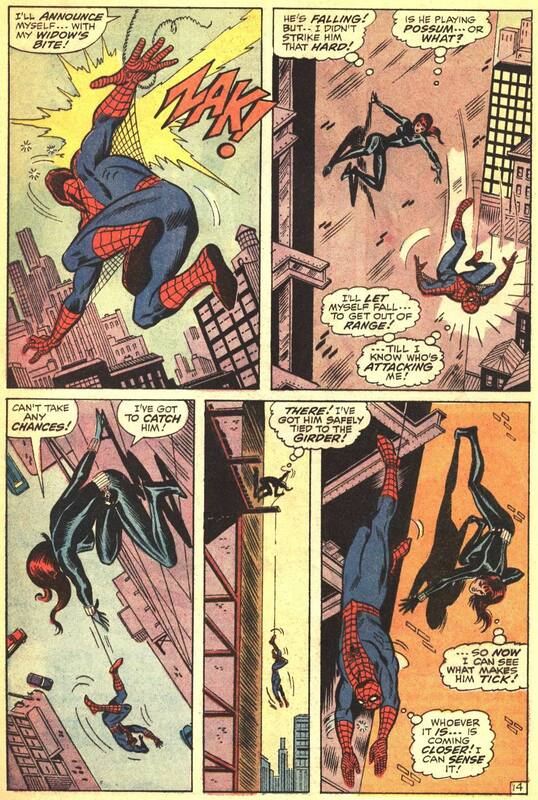 On the Spider-Man suit, Joe Russo described it as “a slightly more traditional, Steve Ditko influenced suit,” and that the film would explore the way the suit operates, particularly the mechanical eyes. Holland chose not to read the whole Civil War script in order to avoid potentially leaking plot information publicly. He is signed on for at least three films, not including his Civil War appearance. 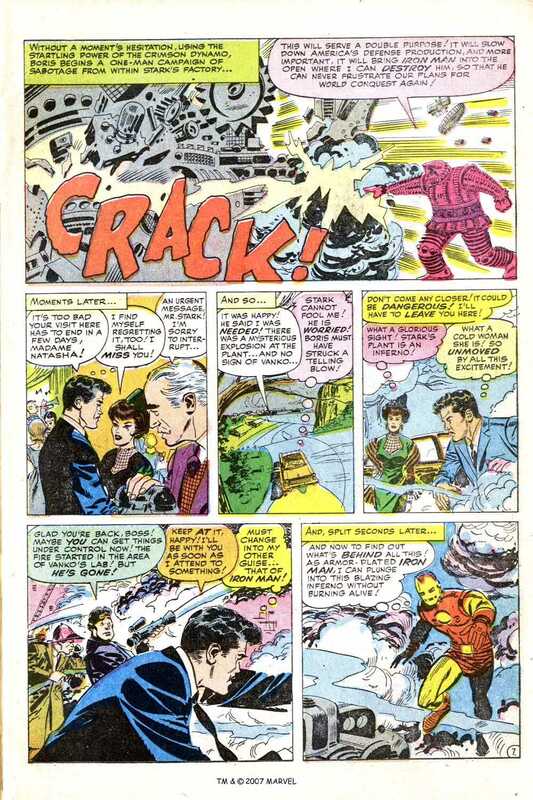 The United States Secretary of State and former U.S. Army general dedicated to capturing the Hulk. Hurt, on returning to the MCU, said, “I don’t think it’s a reprise, I think it’s a new iteration completely,” adding, “what [the writers have] done is they’ve taken a character who was the Ross from [The Incredible Hulk] and made a new version… a more modernized style.” Joe Russo added that Ross was the perfect character to use because he has “a fanatical anti-superhero point of view” and has “become much savvier and more political and has put himself in a position of power, not unlike a Colin Powell. He’s cornering the Avengers politically now, he’s out-maneuvering them.” Joe also added that Ross was included because the Russo’s felt it was important to make The Incredible Hulk “relevant again within the [MCU]” since it “may have been forgotten about a little bit”. 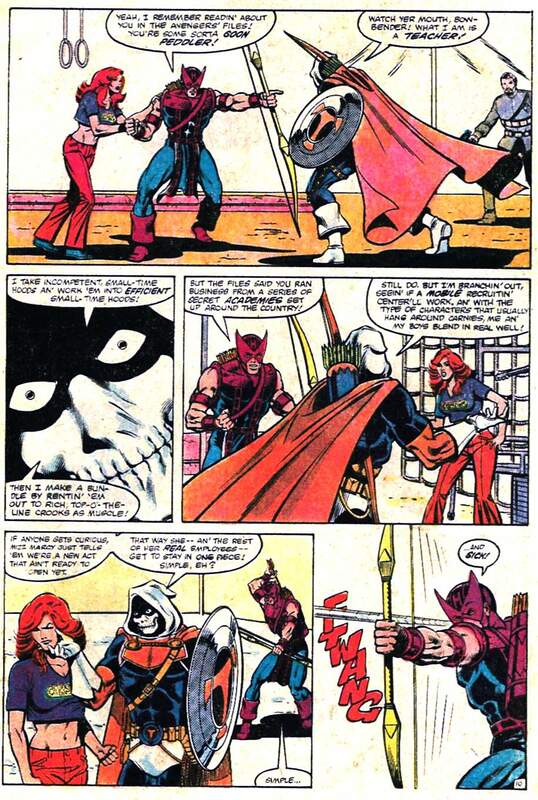 Zemo, who goes by multiple names in the film, does not wear his signature mask from the comics. 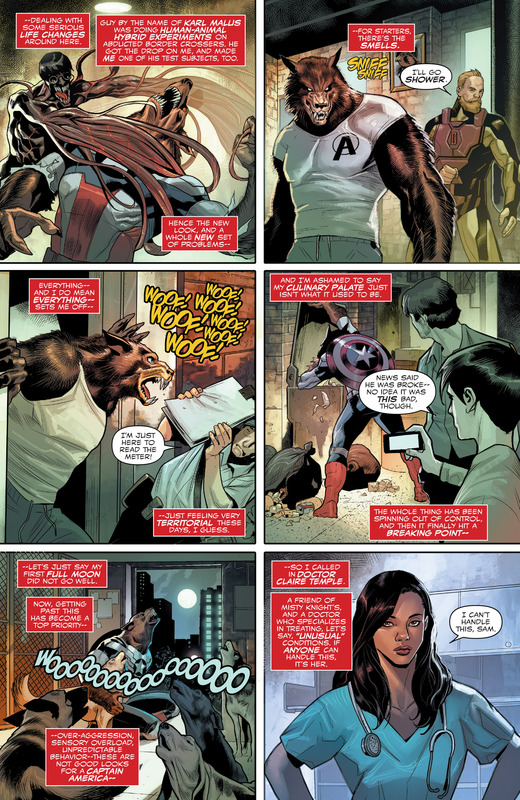 Brühl said the version appearing in the film is “loosely connected” to the character from the comics and that was a reason he liked Marvel, as “some of the characters and things they’re dealing with always reference to current events so my character is from a different area than you would think.” Joe Russo added that the character in the film would be a “fresh and exciting” take on the character not tied to the mythology from the comic books. 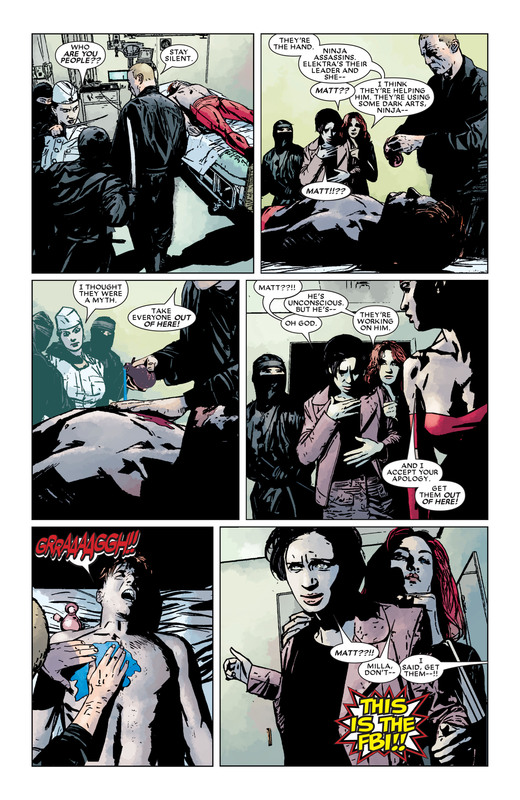 Feige described the character as “very much a product of the [Marvel] Cinematic Universe and all that has occurred within that universe up to this point.” Brühl, who was cast due to his German accent, did not feel the role was a stereotype, saying, “It’s not a guy who’s mean and sinister, but he’s actually very clever – a very smart guy who does everything out of a very understandable reason and motivation.” Brühl also stated that Zemo may also appear in future MCU films with Moore adding that, while Zemo has a purpose in this film, it is more to set up a future film. Additionally, John Slattery reprises his role as Howard Stark, from previous MCU films. 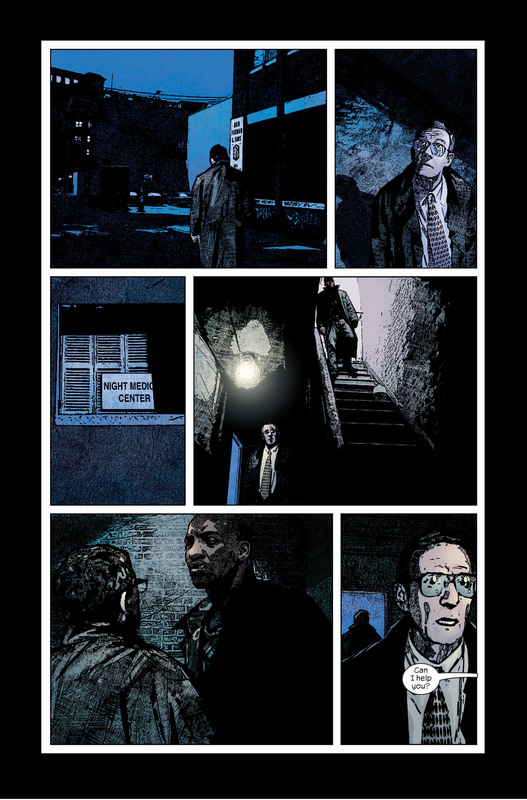 Martin Freeman is introduced as Everett Ross, a member of the Joint Counter Terrorism Center, and a character associated with Black Panther in the comics. 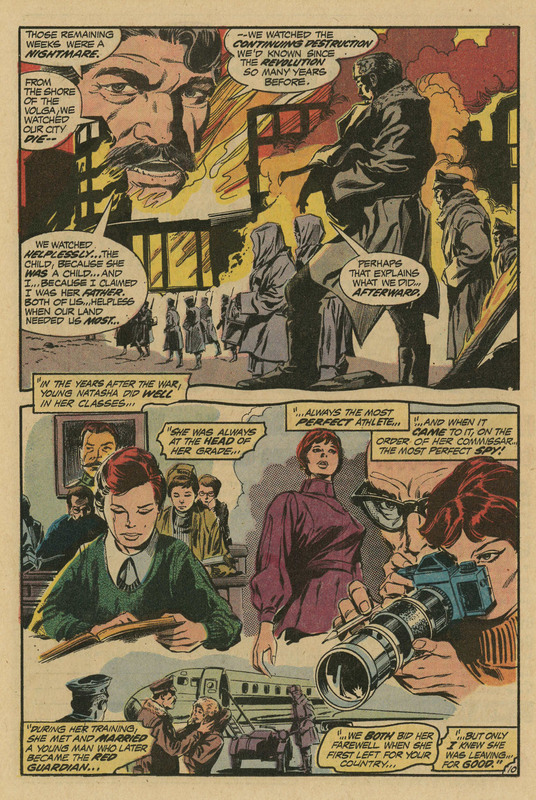 Freeman described Ross as someone who “works for the American government…[and] works in conjunction with the superheroes, and certain agencies that help to tame the superheroes’ power”. 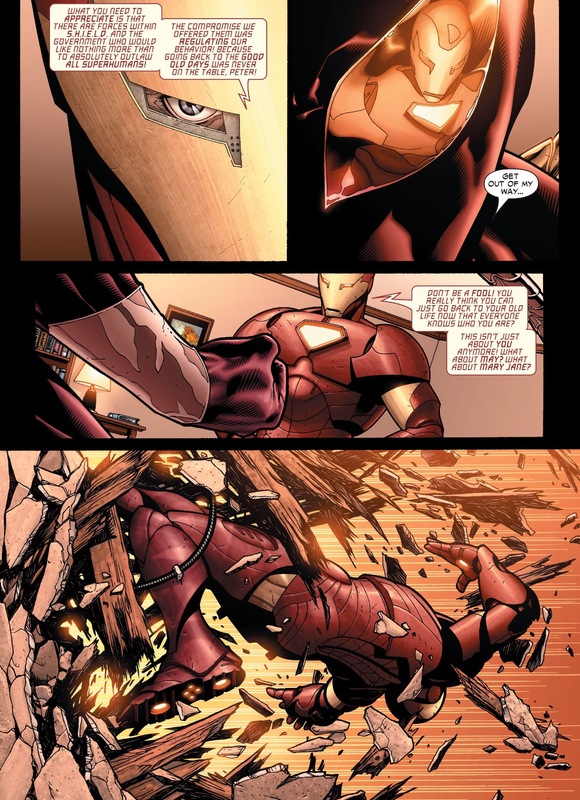 In terms of whether Ross would side with Stark or Rogers in the film, Freeman said that Ross is “ambiguous” and “you don’t know whether he’s good or bad” so “you’re not quite sure which side he’s on. It looks a little bit like he’s playing one game when actually he’s playing another.” Feige added that Ross would appear briefly in the film, with the intent being to expand on the character’s role in future films. 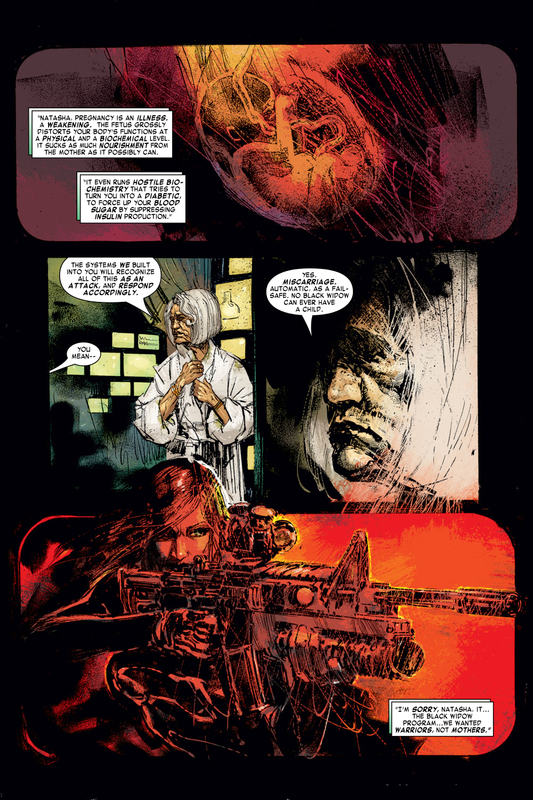 Alfre Woodard, who portrays Mariah Dillard in the MCU TV series Luke Cage, appears in the film as Miriam Sharpe, the mother of an American citizen killed in the battle of Sokovia. 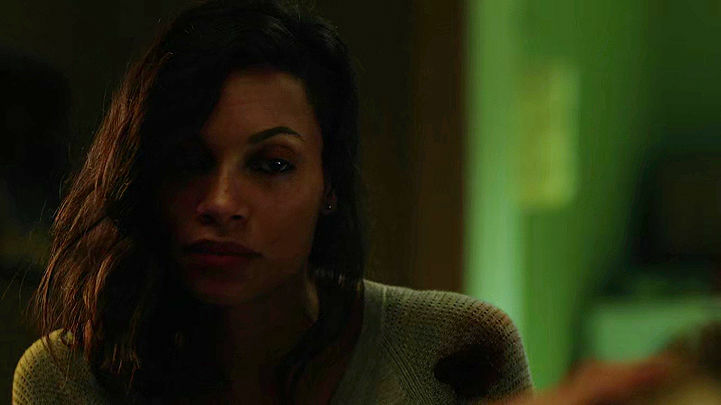 Woodard was suggested for the role by Downey, before Marvel Studios learned of her casting in Luke Cage. Marisa Tomei appears as May Parker, Peter Parker’s aunt; while Hope Davis and Jim Rash are cast in undisclosed roles. 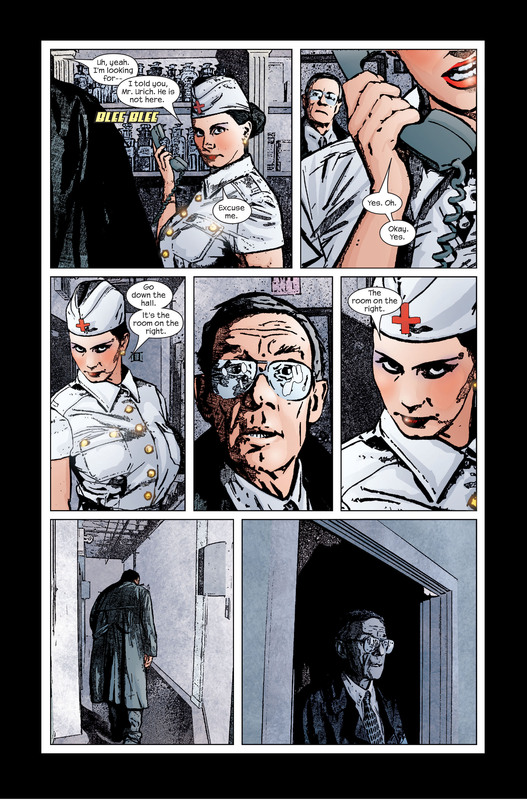 Stan Lee makes a cameo appearance. John Kani appears as T’Chaka, father of T’Challa. 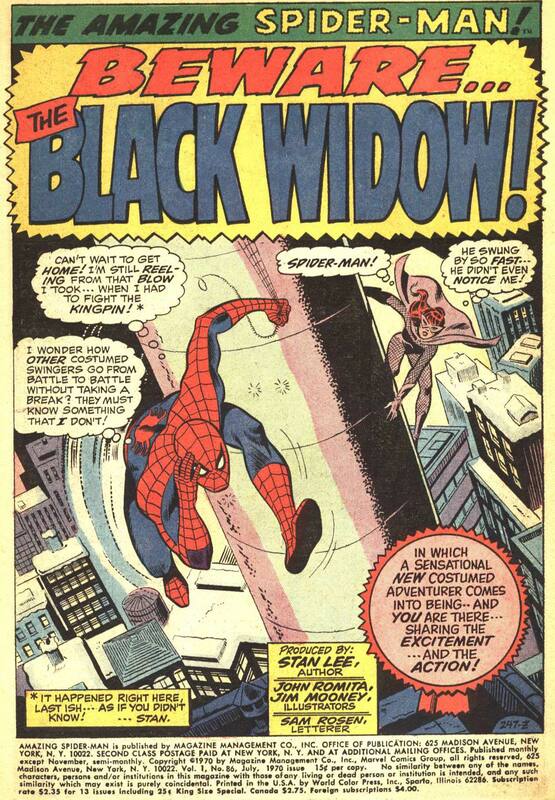 This entry was posted in Amazing Spider-Man, Ant-Man, Avengers, Black Panther, Black Widow, cap speech, Captain America, Captain America speech, Civil War, Clint Barton, Hawkeye, Iron Man, marvel, Marvel Cinematic Universe, Marvel Comics, movies, Registration Act, Wakanda, winter soldier and tagged Agent 13, Alfre Woddard, amazing spider-man, ant-man, Anthony Mackie, aunt may, baron zemo, black panther, black widow, Brock rumlow, chadwick boseman, Chris Evans, civil war, crossbones, Daniel Brühl, Don Cheadle, Elizabeth Olsen, Emily VanCamp, Featured Posts, Frank Grillo, hawkeye, Helmut Zemo, iron man, Jeremy renner, John Kani, John Slattery, Maria Hill, Marisa Tomei, Martin Freeman, marvel, Marvel Cinematic Universe, Marvel Comics, Miriam Sharpe, Paul Bettany, Paul Rudd, Robert Downey Jr., scarlet witch, Scarlett Johansson, Sebastian Stan, Sharon Carter, Stan Lee, team cap, team ironman, The Falcon, Thunderbolt Ross, tom holland, tony stark, vision, War Machine, William Hurt, winter soldier on April 26, 2016 by lowbrowcomics. 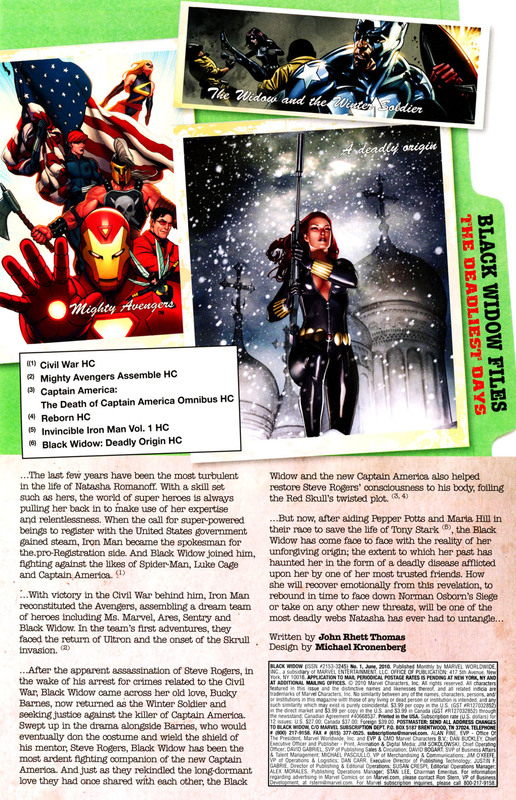 This entry was posted in Avengers, Captain America, Civil War, Iron Man, Marvel Comics, Registration Act, S.H.I.E.L.D. and tagged amazing spider-man, ant-man, black panther, black widow, civil war, falcon, Featured Posts, hawkeye, iron man, Maria Hill, marvel, Marvel Cinematic Universe, Marvel Comics, S.H.I.E.L.D., scarlet witch, tony stark, vision, War Machine, winter soldier on April 6, 2016 by lowbrowcomics. In preparation for Captain America: Civil War, I started working on this special little project. I’ve been working on this for a few days and this is my first attempt at making an infographic. 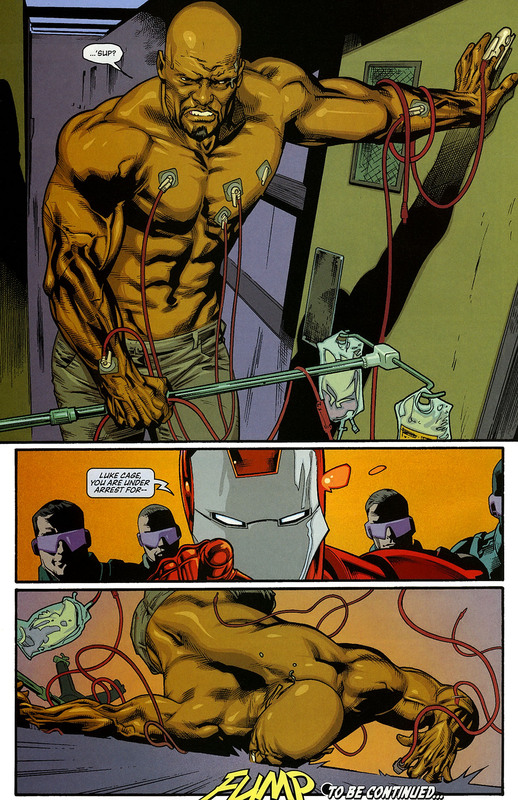 It’s intention is to highlight Captain America’s and Iron Man’s individual strengths and weaknesses and overlay them to see what advantages they have over each other. Let me know what you think in the comments below! Was it informative? A jumbled mess? Perfect? Would you like to see other match-ups? I’d love to hear your comments and I could use the practice. Besides, it was pretty fun to make this and i’ll probably make more anyway. 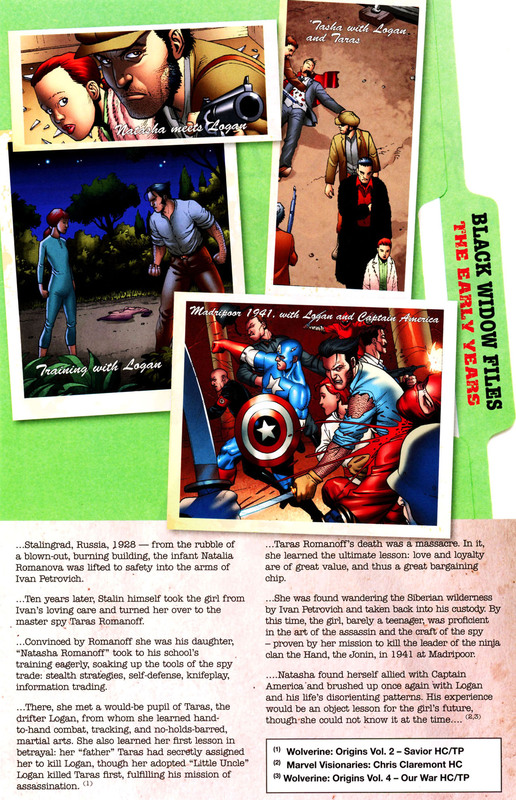 Data was compiled from The Official Marvel Wiki and created with Piktochart, a free infographic creating website. Captain America: Civil War is an upcoming American superhero film featuring the Marvel Comics character Captain America, produced by Marvel Studios and distributed by Walt Disney Studios Motion Pictures. It is intended to be the sequel to 2011’s Captain America: The First Avenger and 2014’s Captain America: The Winter Soldier, and the thirteenth film of the Marvel Cinematic Universe (MCU). The film is directed by Anthony and Joe Russo, with a screenplay by Christopher Markus & Stephen McFeely, and features an ensemble cast that includes Chris Evans, Robert Downey Jr., Scarlett Johansson, Sebastian Stan, Anthony Mackie, Don Cheadle, Jeremy Renner, Chadwick Boseman, Paul Bettany, Elizabeth Olsen, Paul Rudd, Emily VanCamp, Tom Holland, Frank Grillo, William Hurt, and Daniel Brühl. 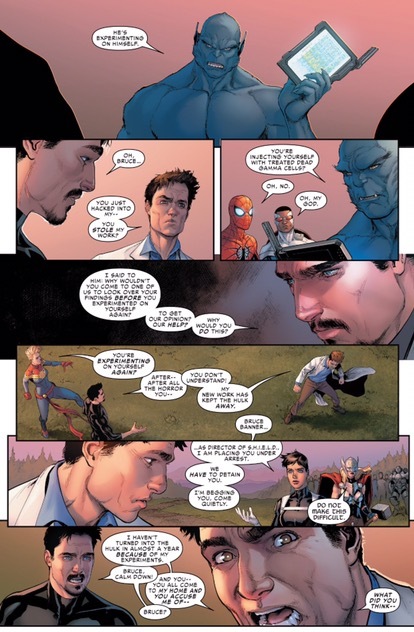 In Captain America: Civil War, an act regulating superhuman activity fractures the Avengers into opposing factions, one led by Steve Rogers and another by Tony Stark. 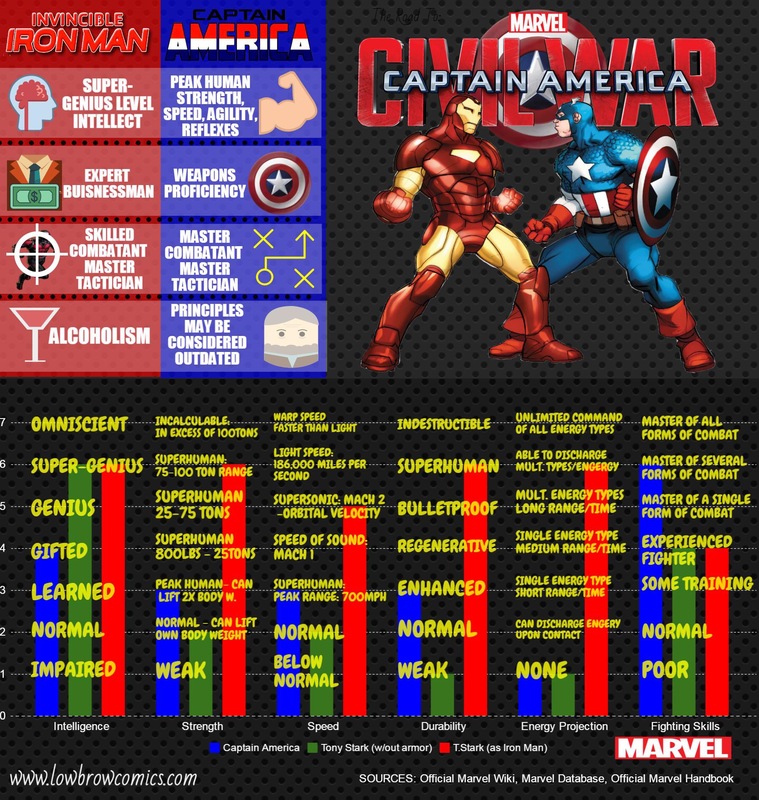 The Road to Civil War: Captain America vs Iron Man Power Comparison Infographic. 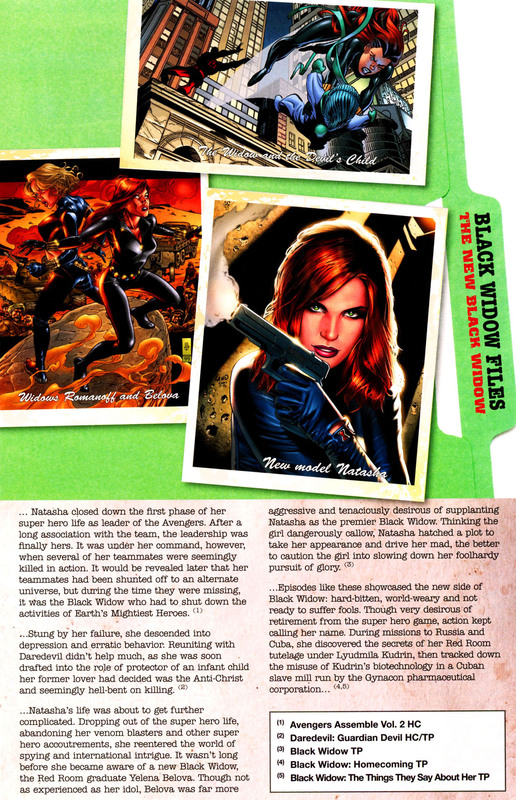 Black Widow (Natalia Alianovna “Natasha” Romanova, also known as Natasha Romanoff) is a fictional superhero appearing in American comic books published by Marvel Comics. 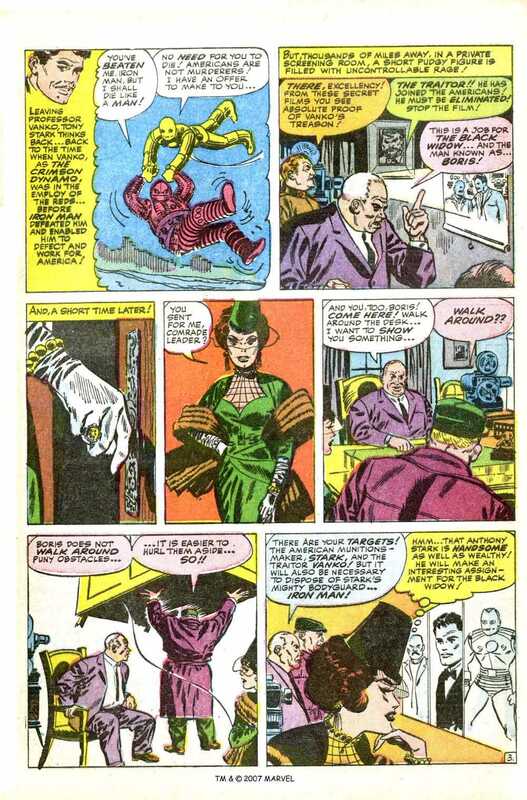 Created by editor and plotter Stan Lee, scripter Don Rico, and artist Don Heck, the character first appeared in Tales of Suspense No. 52 (April 1964). 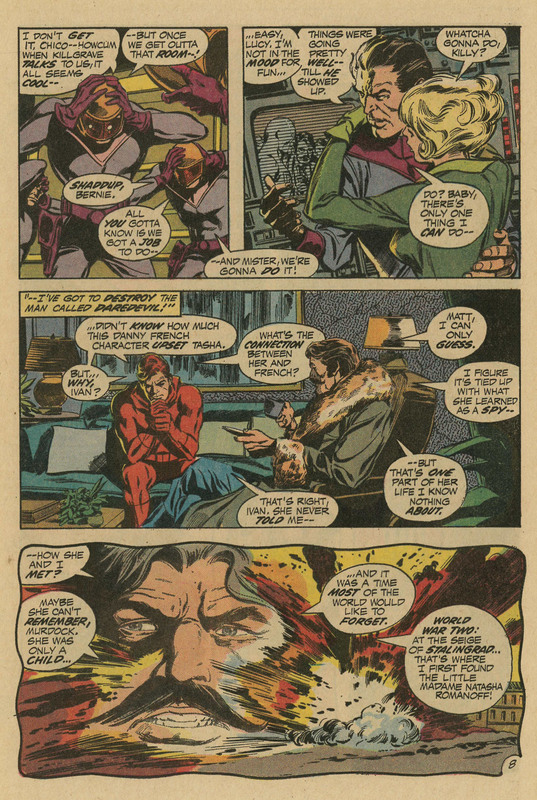 The character was first introduced as a Russian spy, an antagonist of the superhero Iron Man. 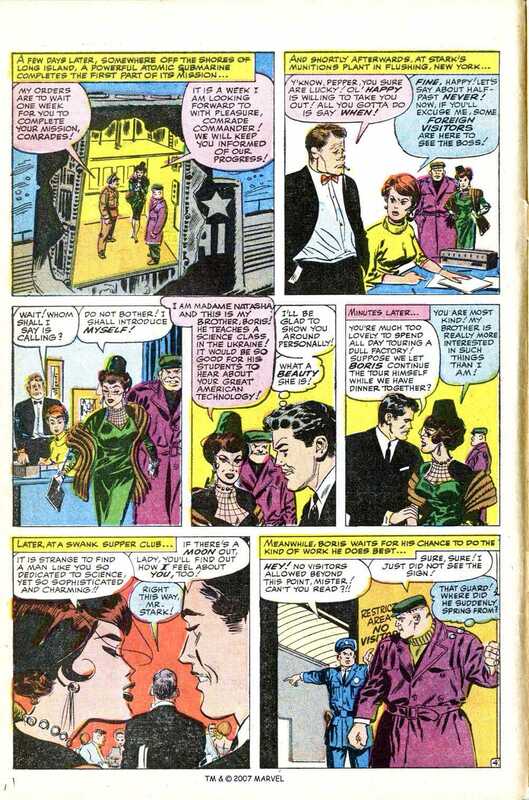 She later defected to the United States, becoming an agent of the fictional spy agency S.H.I.E.L.D., and a member of the superhero team the Avengers. 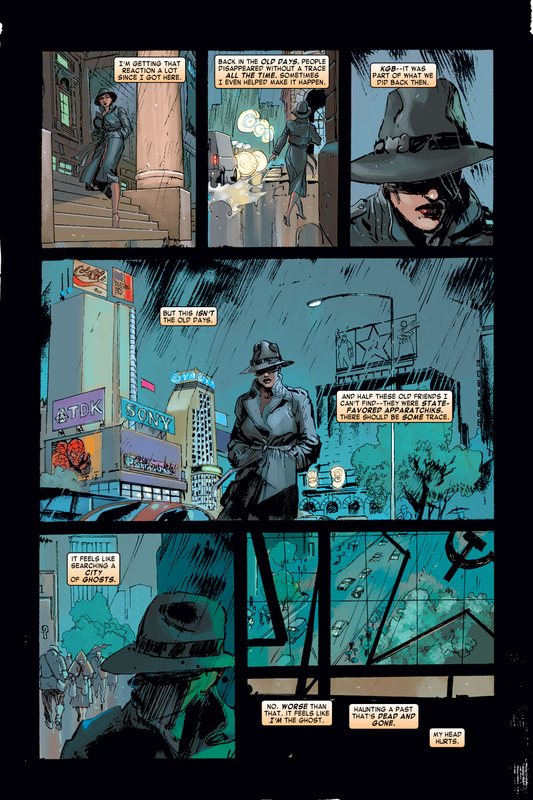 Natasha was born in Stalingrad (now Volgograd), Russia. 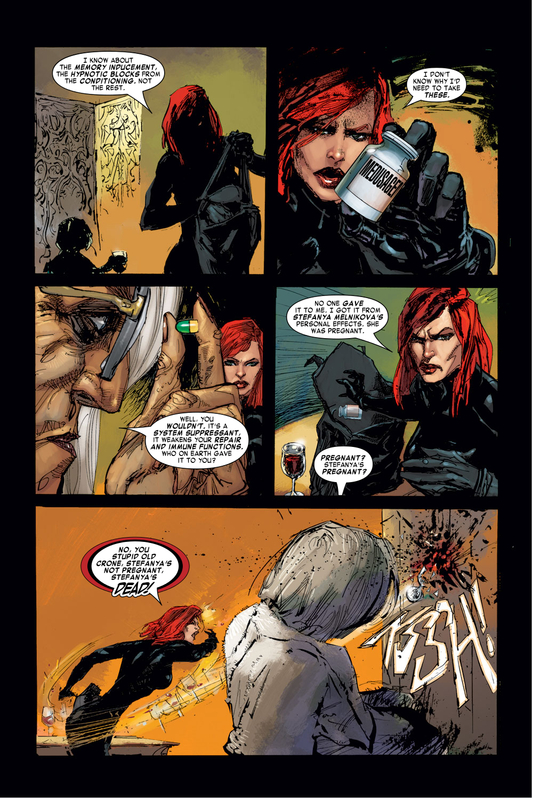 The first and best-known Black Widow is a Russian agent trained as a spy, martial artist, and sniper, and outfitted with an arsenal of high-tech weaponry, including a pair of wrist-mounted energy weapons dubbed her “Widow’s Bite”. She wears no costume during her first few appearances but simply evening wear and a veil. 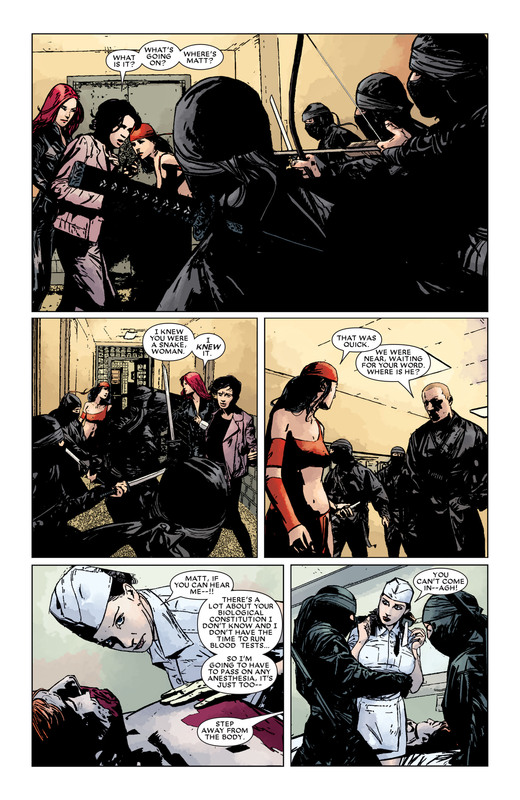 Romanova eventually defects to the U.S. for reasons that include her love for the reluctant-criminal turned superhero archer, Hawkeye. 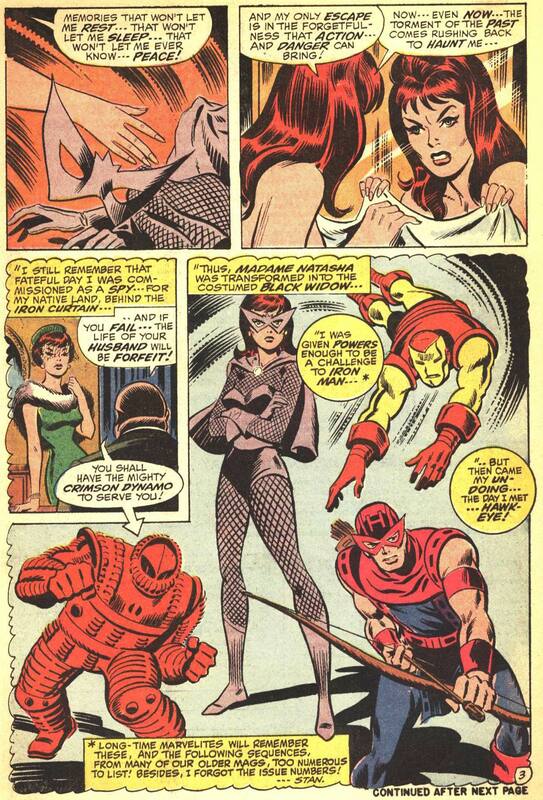 The Black Widow’s first appearances were as a recurring, non-costumed, Russian-spy antagonist in the feature “Iron Man”, beginning in Tales of Suspense No. 52 (April 1964). 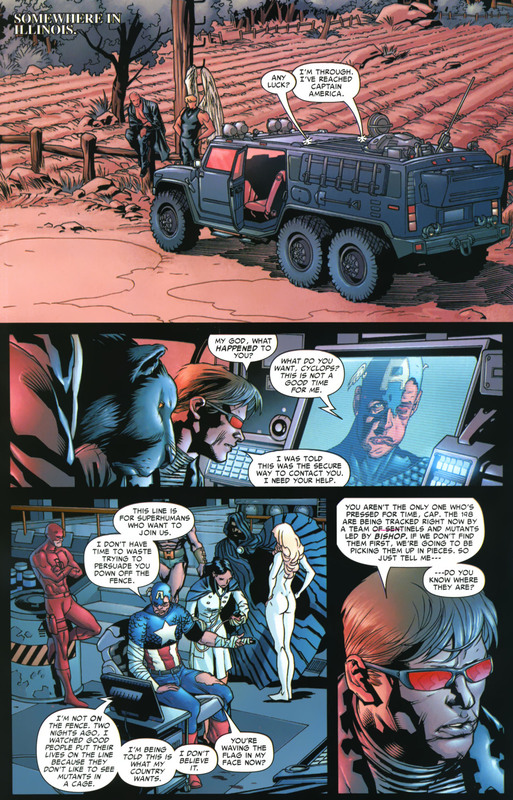 Five issues later, she recruited the besotted costumed archer and later superhero Hawkeye to her cause. 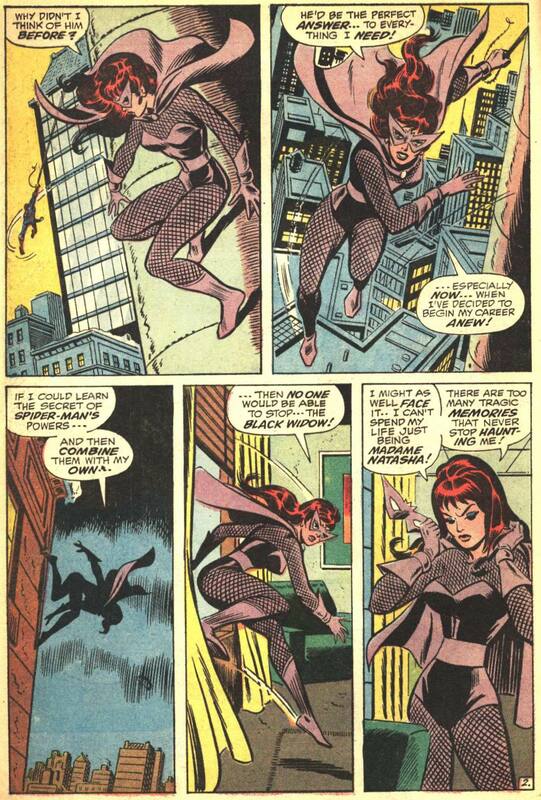 Her government later supplied her with her first Black Widow costume and high-tech weaponry, but she eventually defected to the United States after appearing, temporarily brainwashed against the U.S., in the superhero-team series The Avengers No. 29 (July 1966). 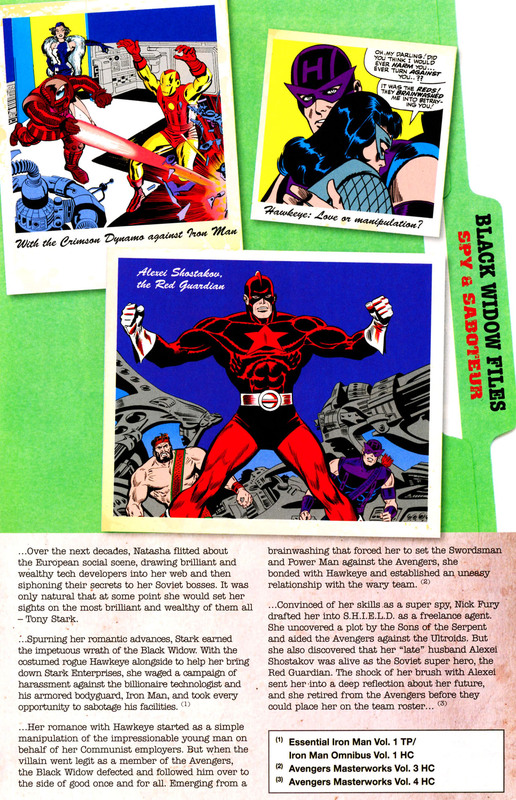 The Widow later became a recurring ally of the team before officially becoming its sixteenth member many years later. 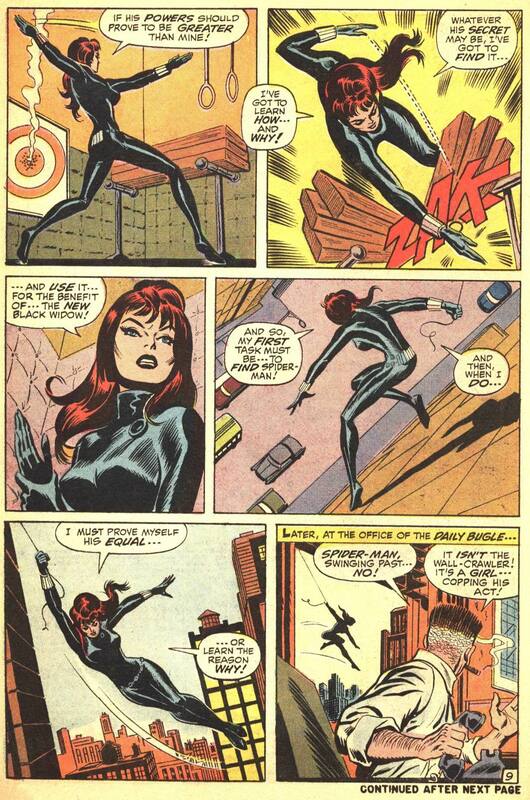 The Black Widow was visually updated in 1970: The Amazing Spider-Man No. 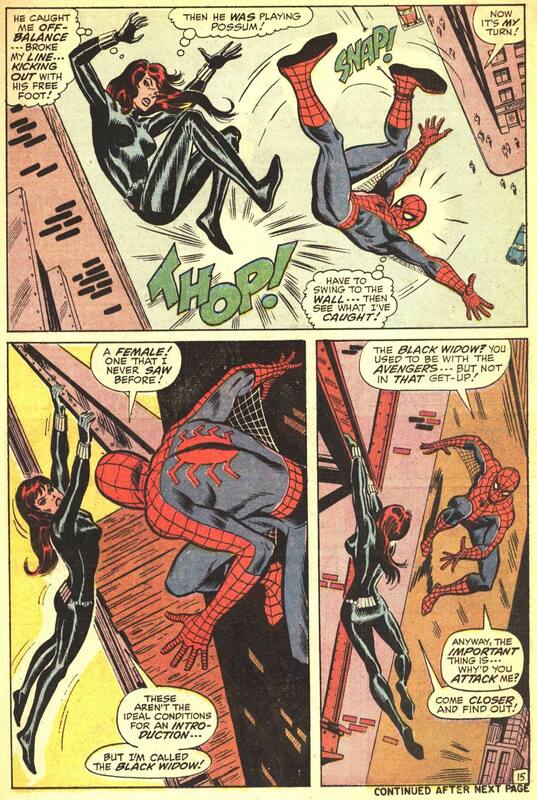 86 (July 1970) reintroduced her with shoulder-length red hair (instead of her former short black hair), a skintight black costume, and wristbands which fired spider threads. This would become the appearance most commonly associated with the character. 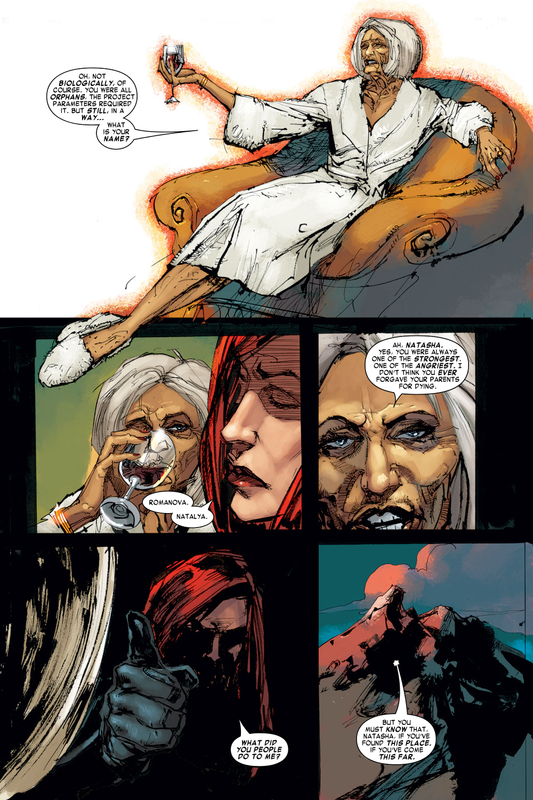 First hints to Natasha Romanova’s childhood come by Ivan Petrovich, who is introduced as her middle-aged chauffeur and confidant in the Black Widow’s 1970s Amazing Adventures. 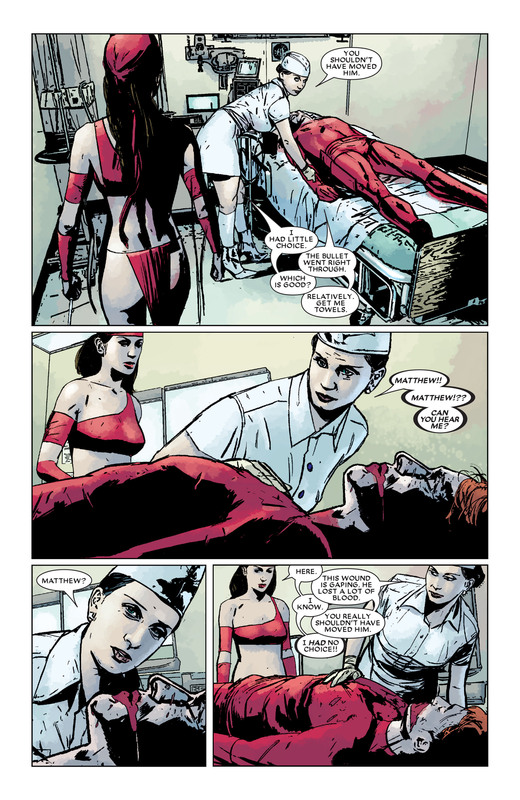 The man tells Matt Murdock how he had been given custody of little Natasha by a woman just before her death during the Battle of Stalingrad in autumn 1942. He had consequently felt committed to raise the orphan as a surrogate father and she had eventually trained as a Soviet spy, being eager to help her homeland. 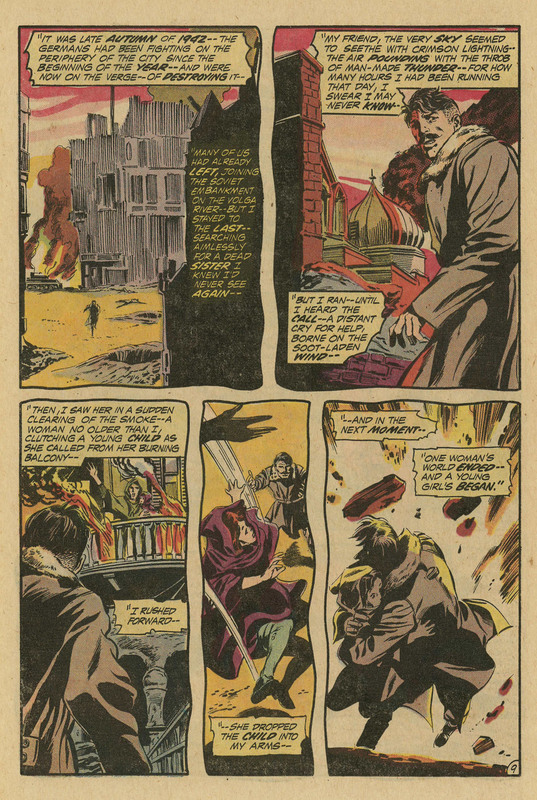 In another flashback, set in the fictional island of Madripoor in 1941, Petrovich helps Captain America and the mutant Logan, who would later become the Canadian super-agent and costumed hero Wolverine, to rescue Natasha from Nazis. 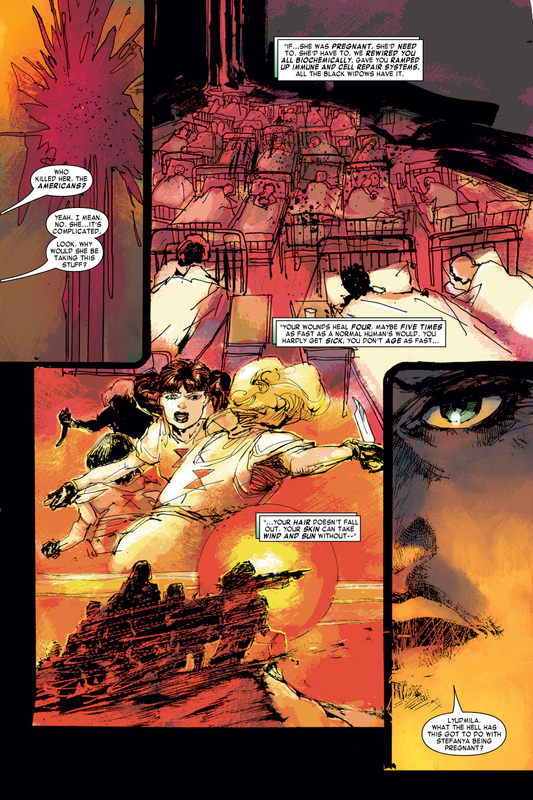 A revised, retconned origin establishes her as being raised from very early childhood by the U.S.S.R.’s “Black Widow Ops” program, rather than solely by Ivan Petrovitch. 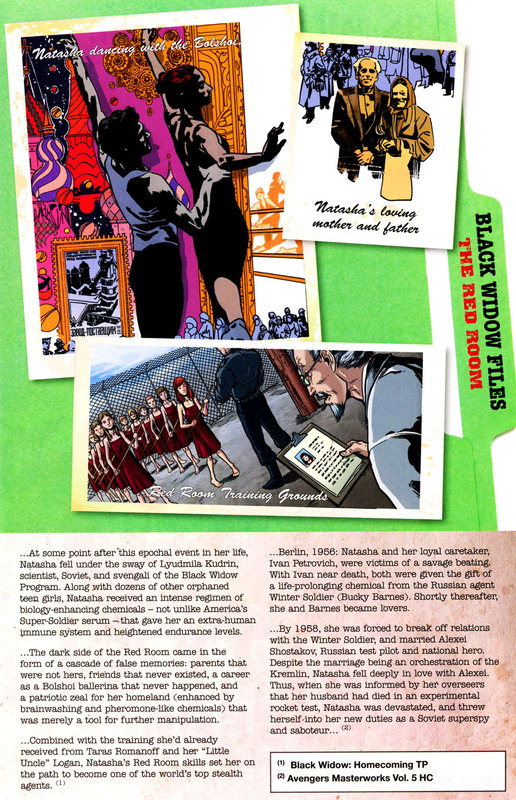 Petrovitch had taken her to Department X, with other young female orphans, where she was brainwashed, and trained in combat and espionage at the covert “Red Room” facility. 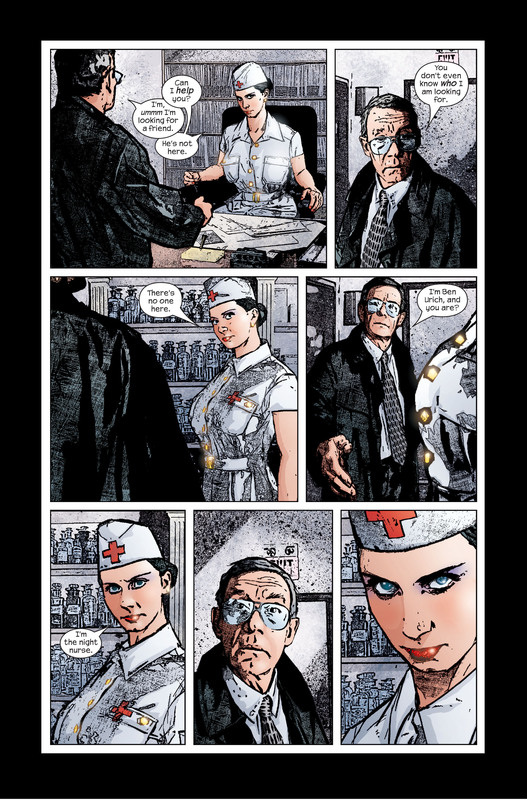 There, she is biotechnologically and psycho-technologically enhanced—an accounting that provides a rationale for her unusually long and youthful lifespan. 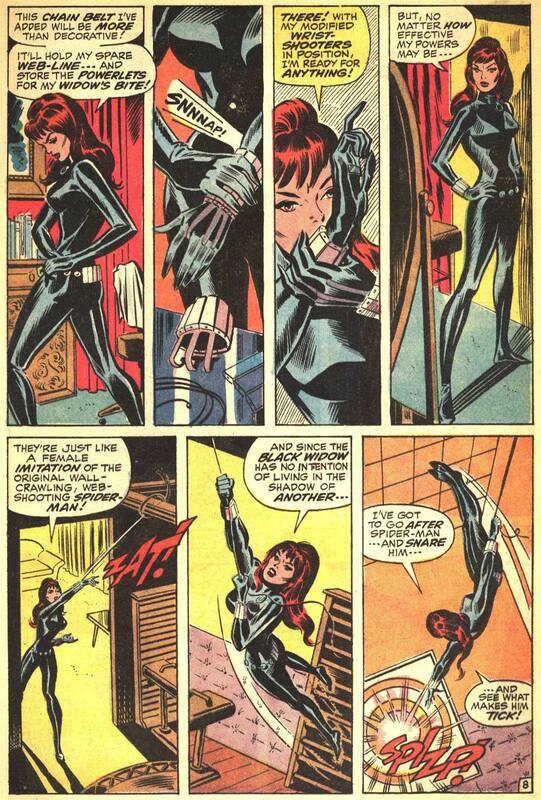 During that time she had some training under Winter Soldier, and the pair even had a short romance. 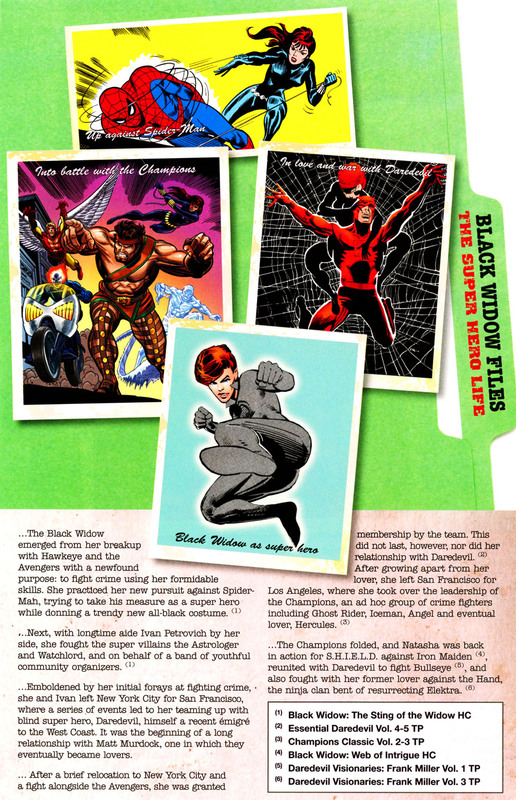 Each Black Widow is deployed with false memories to help ensure her loyalty. 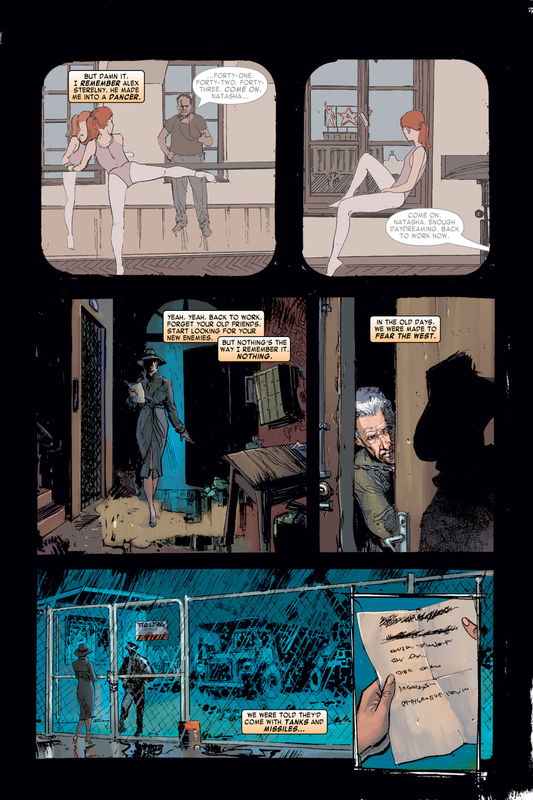 Romanova eventually discovers this, including the fact that she had never, as she had believed, been a ballerina. She further discovers that the Red Room is still active as “2R”. 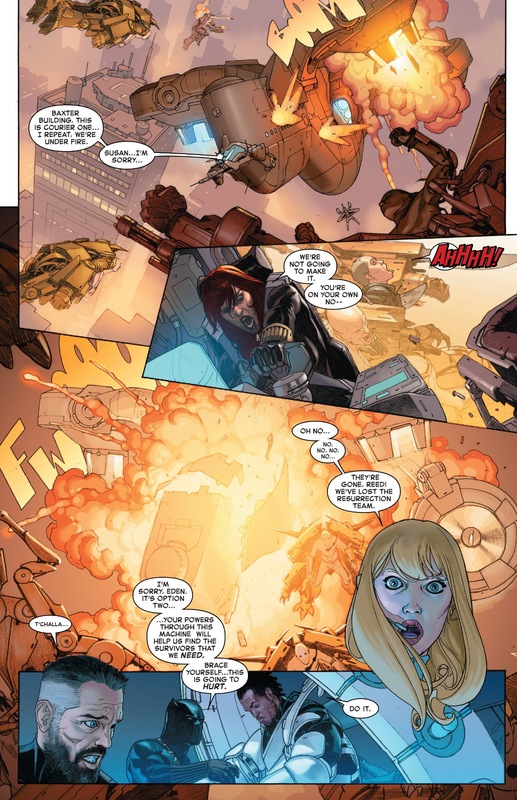 During the incursion event between Earth 616 and Earth 1610, Natasha is involved in the final battle between the Marvel Universe’s superheroes and the Ultimate Universe’s Children of Tomorrow. 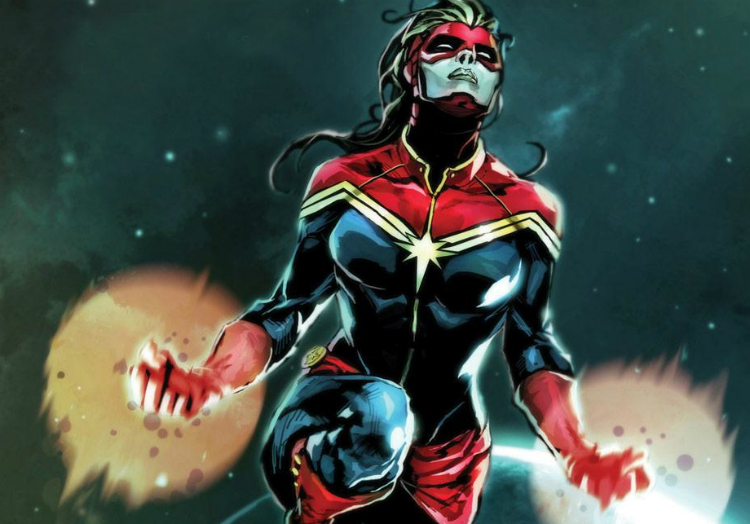 She pilots a ship holding a handpicked few to restart humanity after the universe ends, copiloted by Jessica Drew. 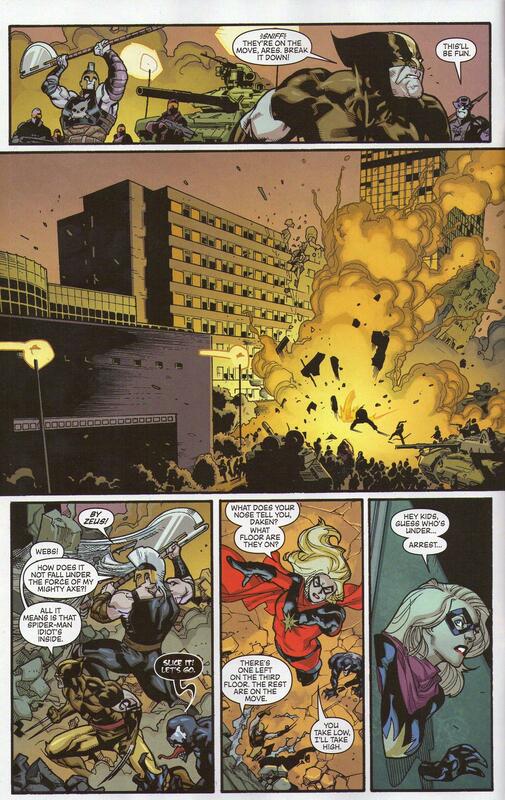 Her ship is shot down during the battle though, and she is killed in the ensuing explosion. 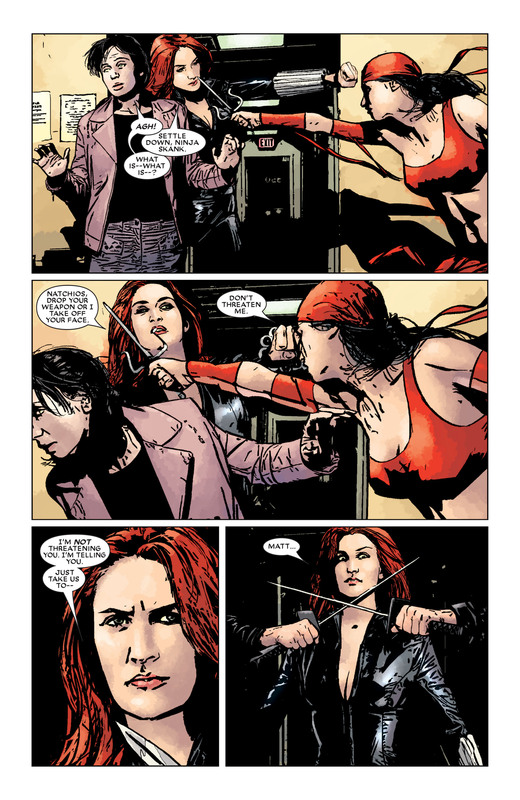 This entry was posted in Black Widow and tagged amazing spider-man, avengers, black widow, captain america, daredevil, hawkeye, iron man, Marvel Comics, movies, Nick Fury, VS, wolverine on December 23, 2015 by lowbrowcomics. 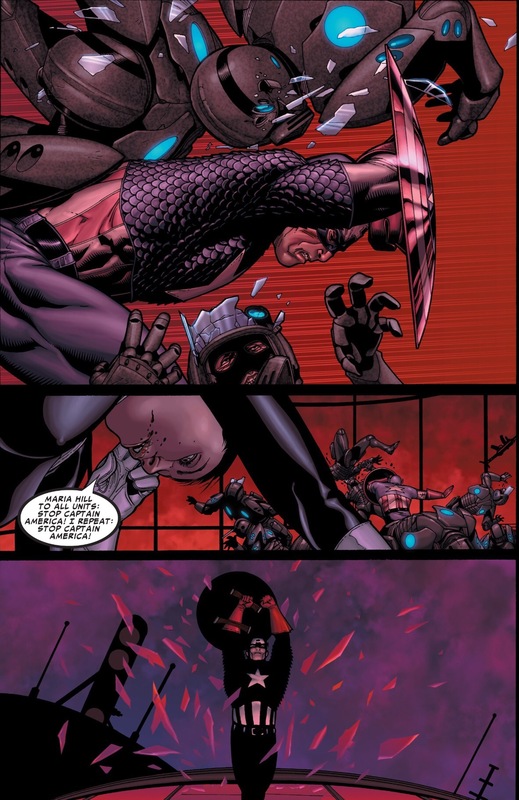 This entry was posted in Versus and tagged Deathbattle, green arrow, hawkeye on December 7, 2015 by lowbrowcomics. Holy S#!t!!!! This looks awesome! Don’t blink or you’ll miss Black Panther! 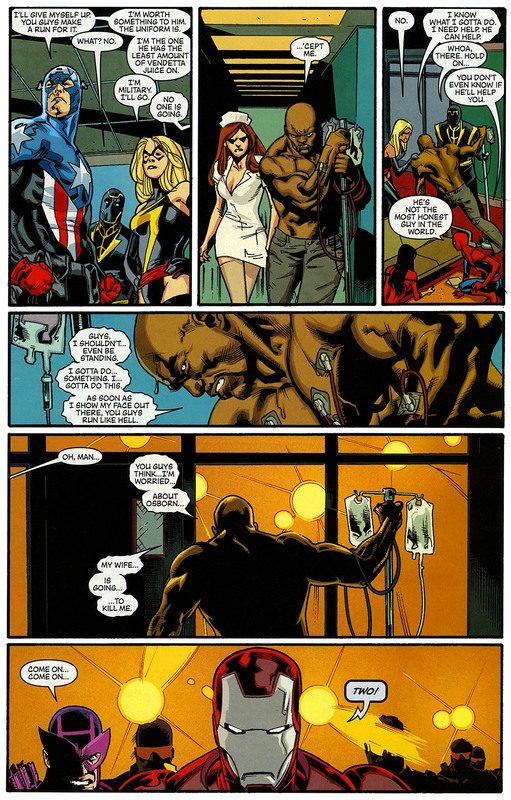 This entry was posted in Captain America, Civil War and tagged black panther, black widow, falcon, hawkeye, iron man, scarlet witch, spider-man, wakanda, War Machine, winter soldier on November 25, 2015 by lowbrowcomics. 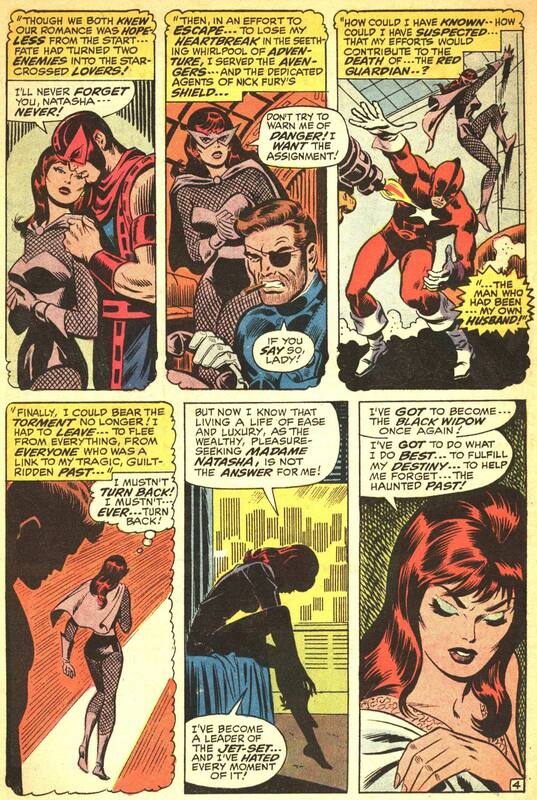 West Coast Avengers #35 (1988) – Mockingbird Wants A Divorce! 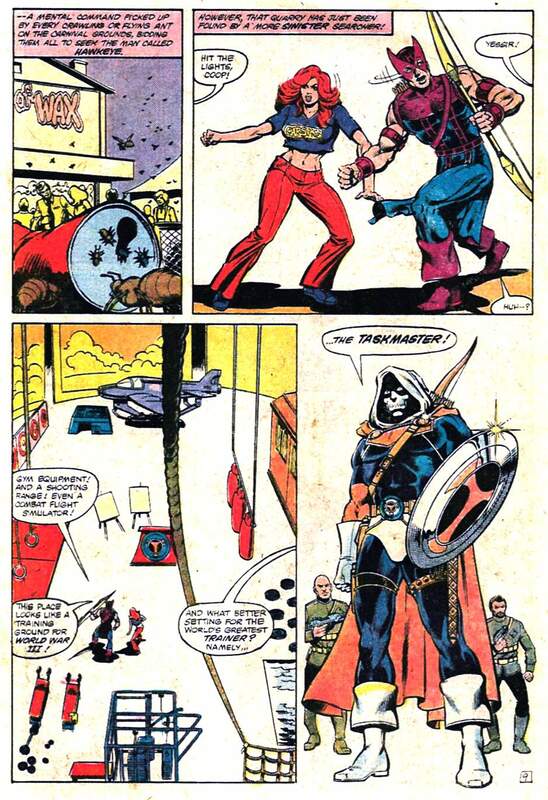 This entry was posted in Avengers, Bobbi Morse, Clint Barton, Dr. Doom, Hawkeye, Mockingbird, west coast avengers and tagged avengers, bobbi morse, clint barton, Dr. Doom, hawkeye, latveria, mockingbird, west coast avengers on August 27, 2015 by lowbrowcomics. 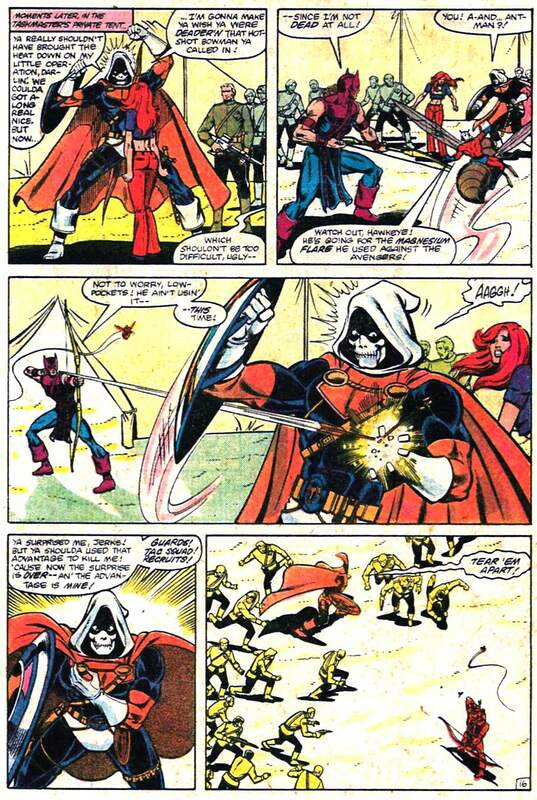 Taskmaster explains how his powers work. 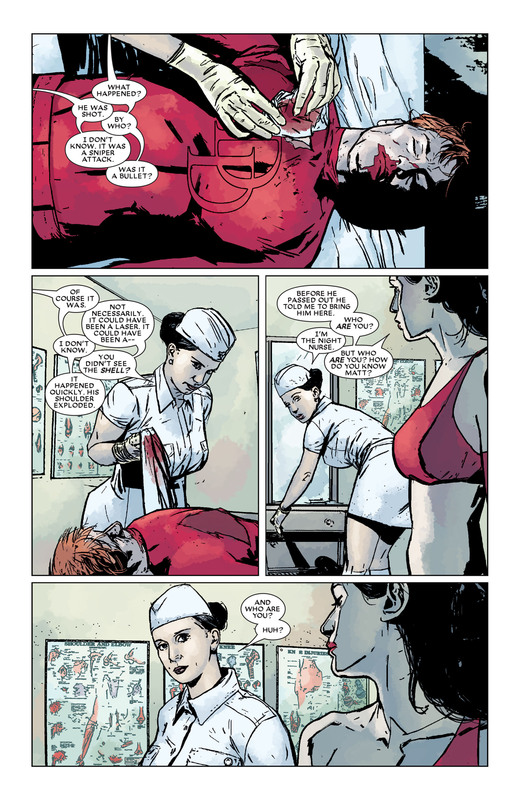 All New Hawkeye: The Swordsman lays down the law. 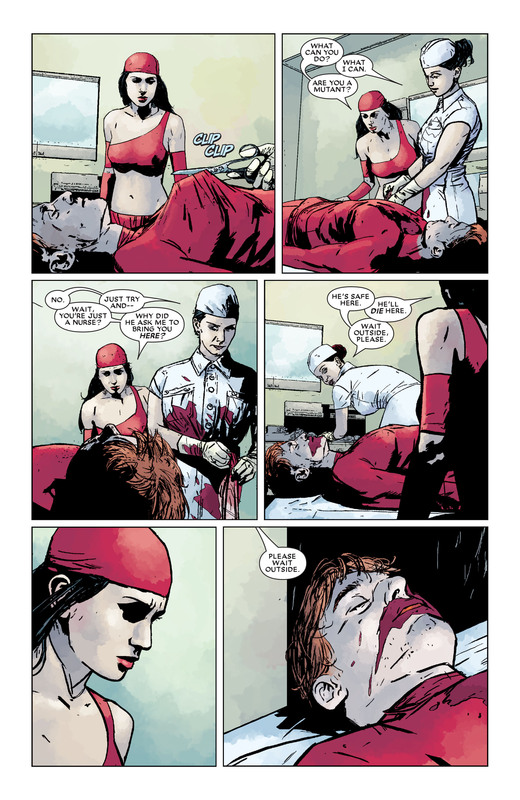 This entry was posted in Hawkeye and tagged hawkeye, kate bishop, origin, swordsman on April 14, 2015 by lowbrowcomics. Feige also mentioned that they won’t be bringing in Miles Morales as Spider-Man…yet. 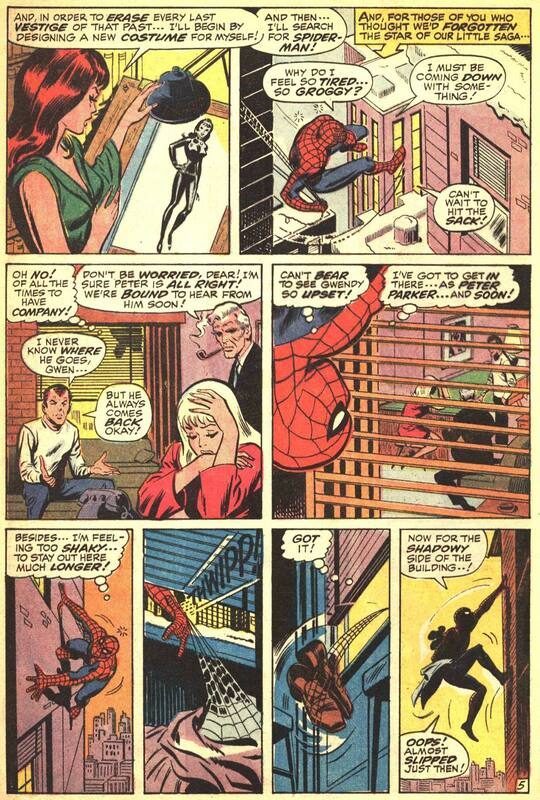 But they are open to the idea after they introduce Peter Parker. That makes sense. 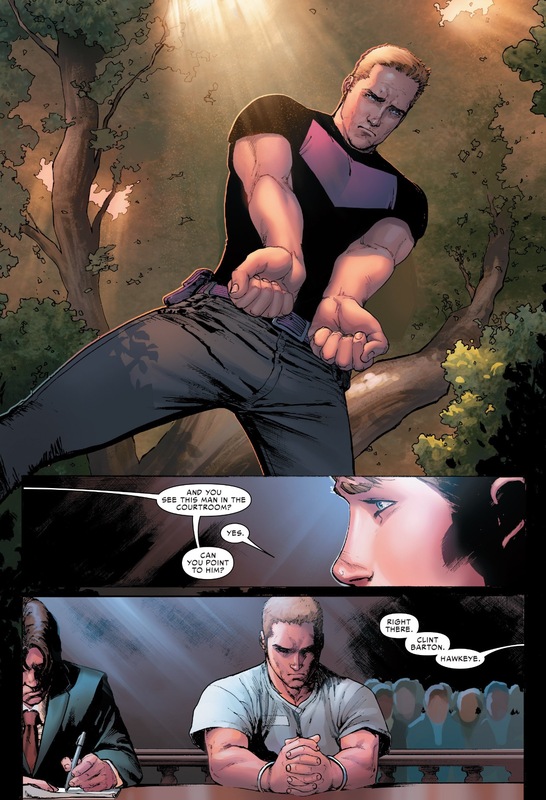 They haven’t explores Parker’s story in the MCU, and that character has a pretty important role in the comic book version of the Civil War story arc. 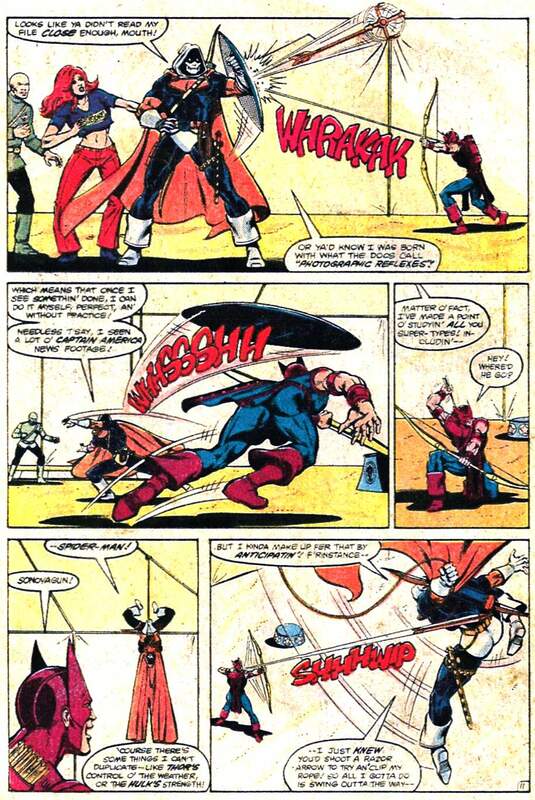 This entry was posted in Avengers and tagged age of ultron, avengers, black widow, captain america, captain marvel, carol danvers, hawkeye, hulk, iron man, quicksilver, scarlet witch, thor, warbird on April 13, 2015 by lowbrowcomics. At the MTV Movie Awards last night, Robert Downey Jr. was presented with a MTV Generation Award. After accepting his award, we got a new 90-second clip. Check it out. Avengers: Age of Ultron hits theaters May 1. 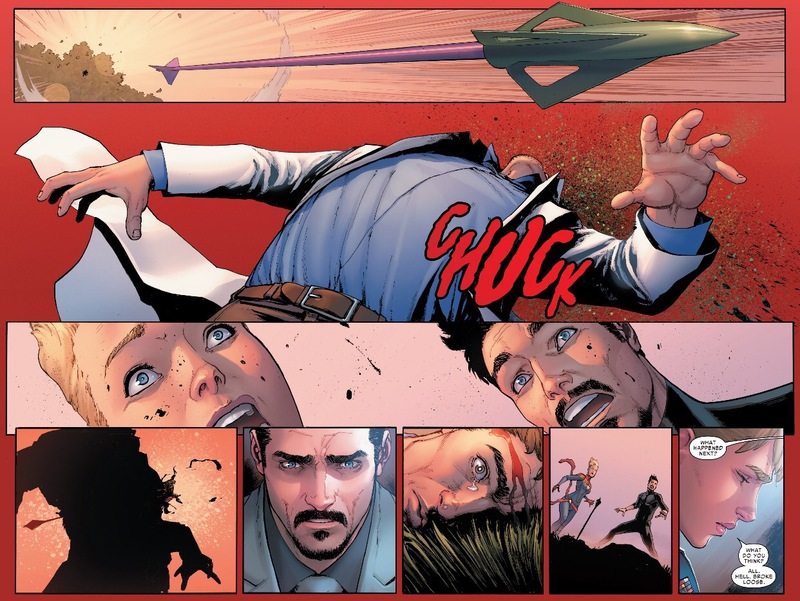 This entry was posted in Avengers, Hulk, Iron Man, Marvel Cinematic Universe, Marvel Comics, movies, Versus and tagged age of ultron, avengers, black widow, captain america, hawkeye, hulk, iron man, quicksilver, scarlet witch, thor on April 13, 2015 by lowbrowcomics. Avengers: Age of Ultron – B Roll footage. 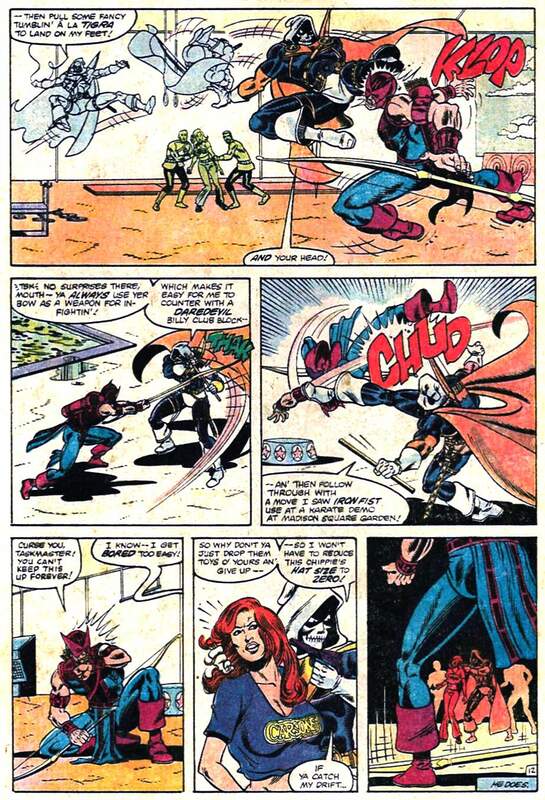 This entry was posted in Avengers and tagged age of ultron, avengers, black widow, captain america, hawkeye, hulk, iron man, quicksilver, scarlet witch, thor on April 10, 2015 by lowbrowcomics. 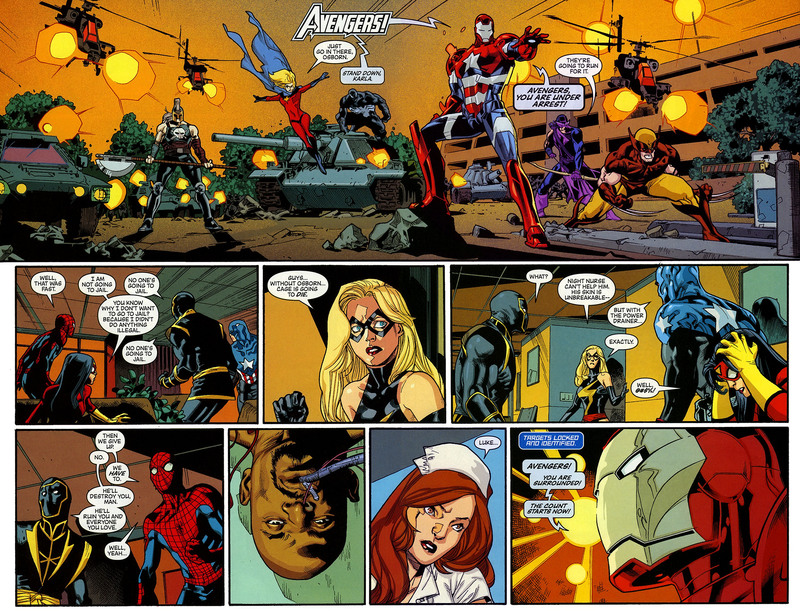 This entry was posted in Avengers, Captain America, Iron Man, movies and tagged age of ultron, avengers, black widow, hawkeye, iron man, thor on April 8, 2015 by lowbrowcomics. A new look at The Vision and the rest of The Avengers in promo images from the Audi TV spot. 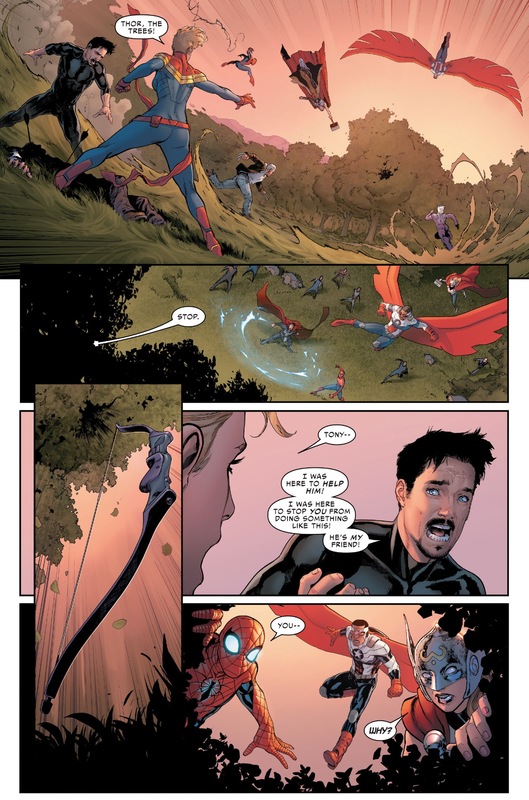 This entry was posted in Avengers and tagged audi, avengers, black widow, captain america, hawkeye, hulk, iron man, stark, thor, tony, ultron, vision on April 1, 2015 by lowbrowcomics.